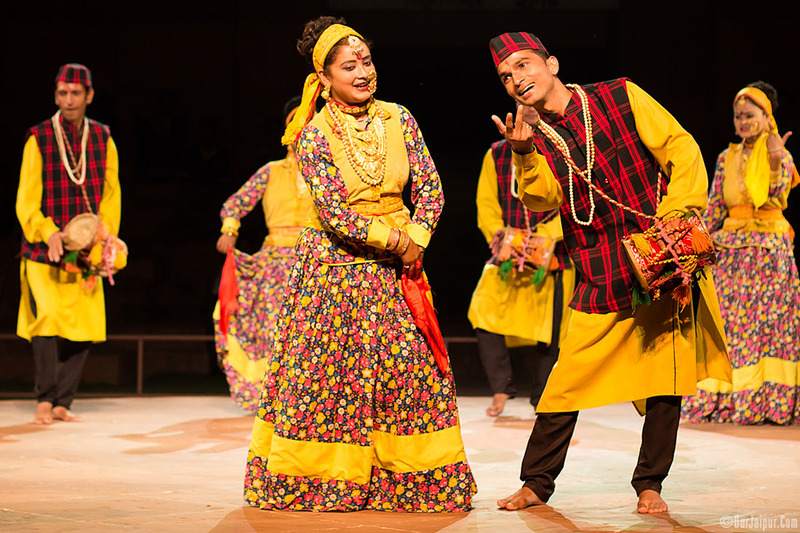 21st Lokrang Started from 9th Oct 2014 with the performances of more than 150 Dancers and Musicians. 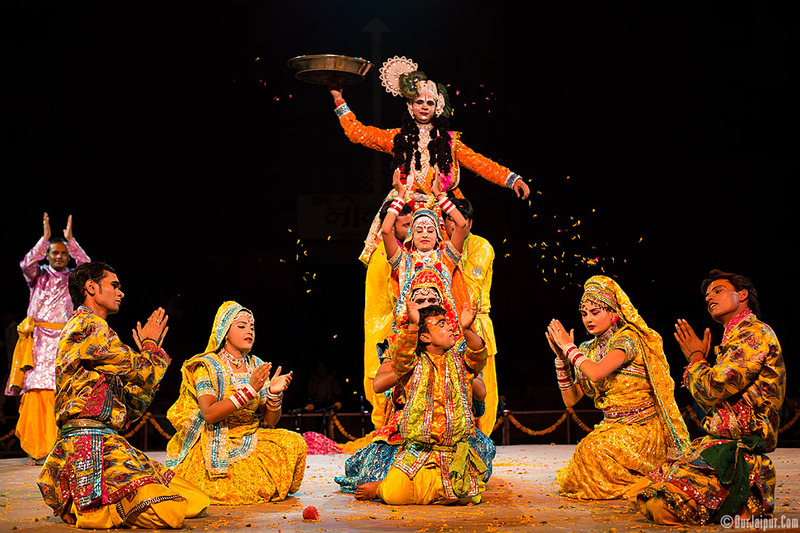 It is a 11 day yearly festival which take place at Jawahar Kala Kendra. 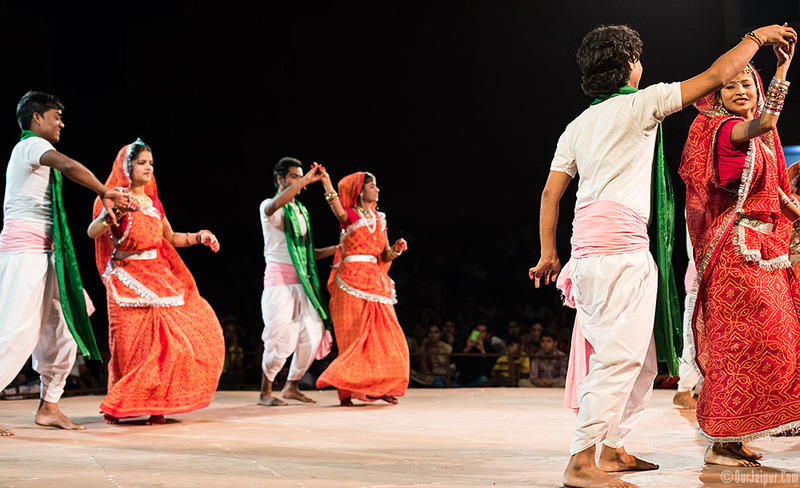 This year More than 1200 Performers from 26 states will participate and present their folk dance and music from all around India in these 11 Days. 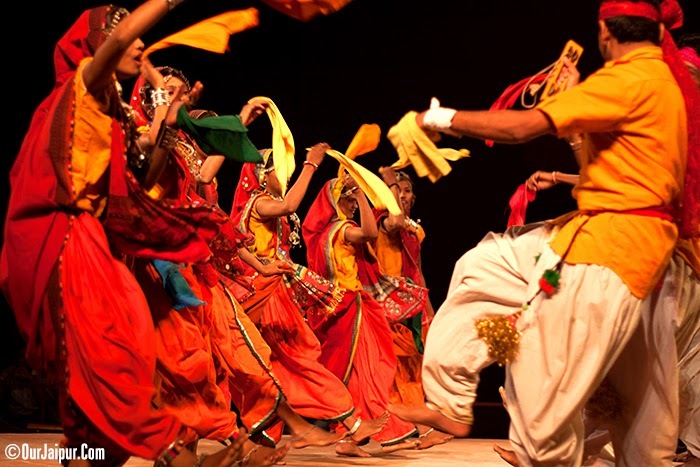 It is best place to have a look at the different Folk Dances and Vivid Culture of India at one place. 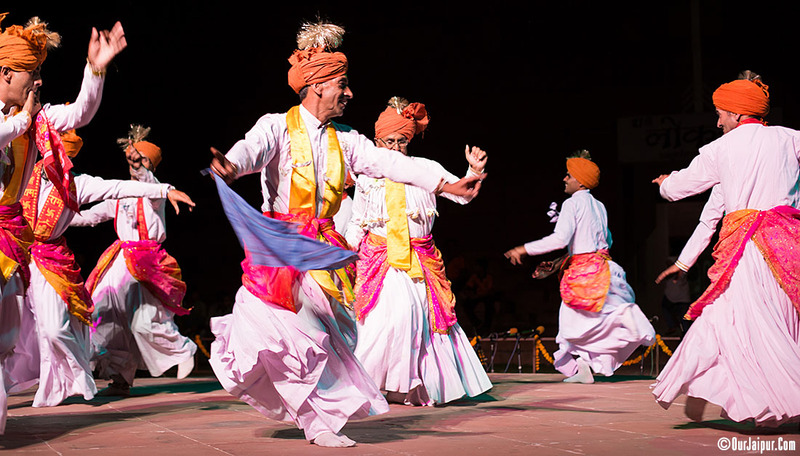 Folk Dancers from around the India assemble here and give their Performances and you can even get some tips on dancing when they are off stage. 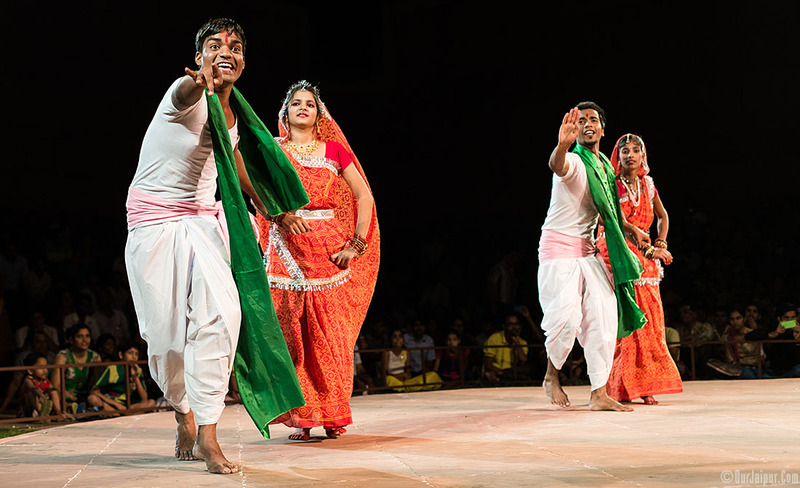 The Performances start from 7 in the evening and goes till 9 p.m. Below is the Gallery where you can have the Glimpses of Performances of 21st Lokrang 2014, Jawahar Kala Kendra, Jaipur, Rajasthan, India. 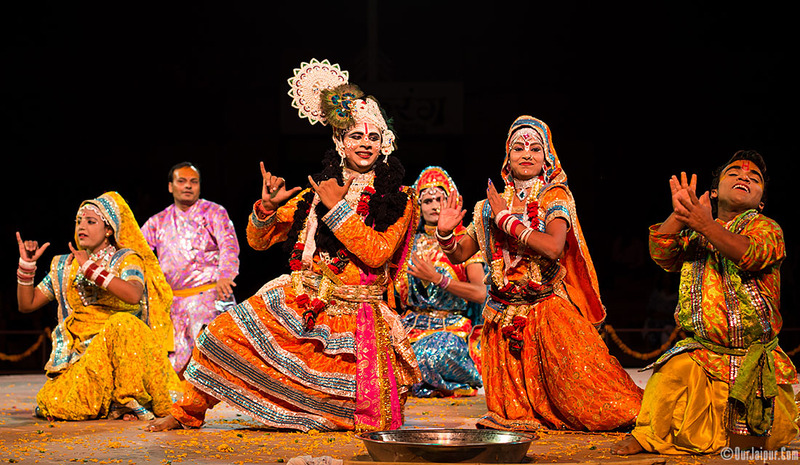 Approx Dates of 22nd Lokrang 2015 are 28 October to 7 November 2015. 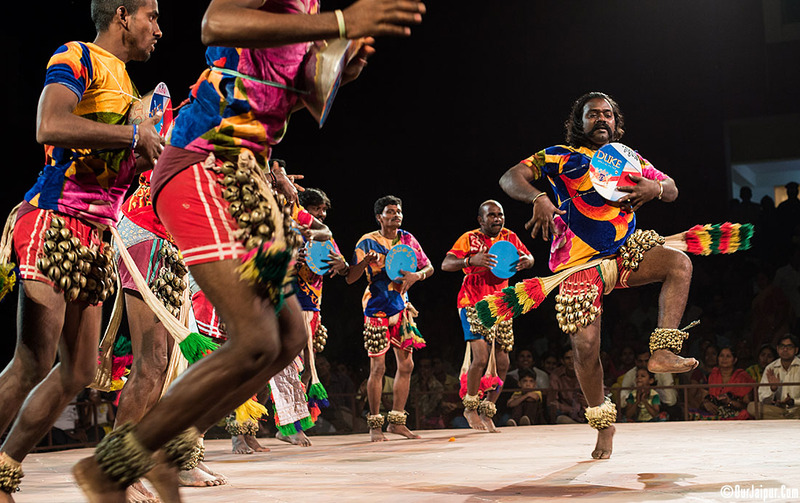 Gaara Gullu Folk Dance From Andhra Pradesh. 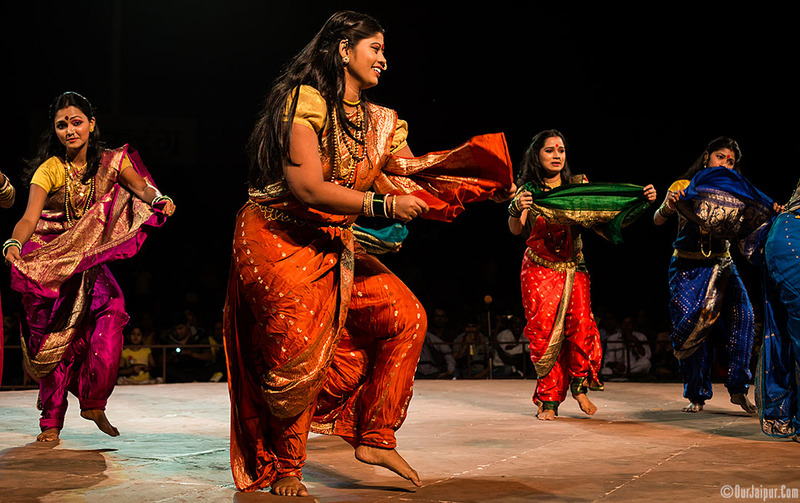 Tappeta Gullu Folk Dance From Andhra Pradesh. 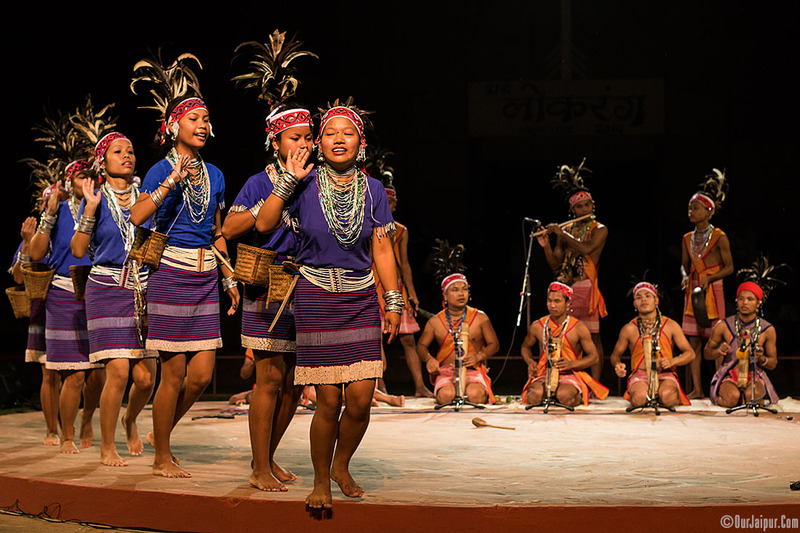 Rikham Pada Paru Folk Dance from Arunachal Pradesh. 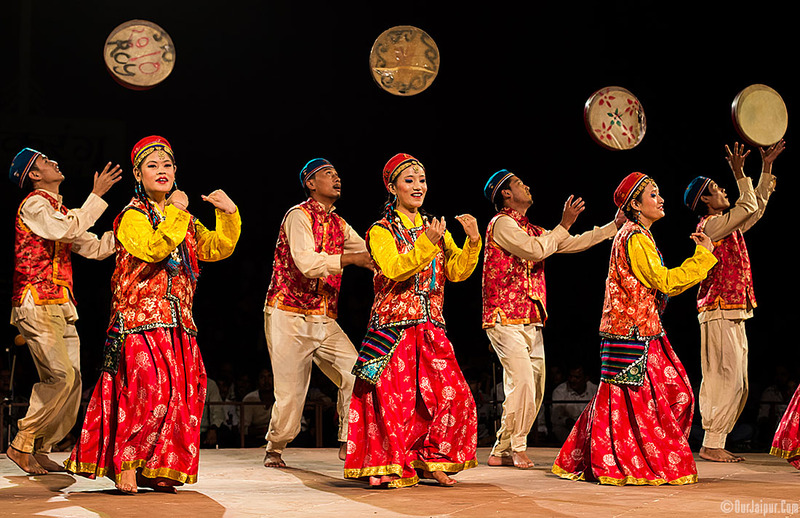 Ho Ajina Folk Dance from Arunachal Pradesh. 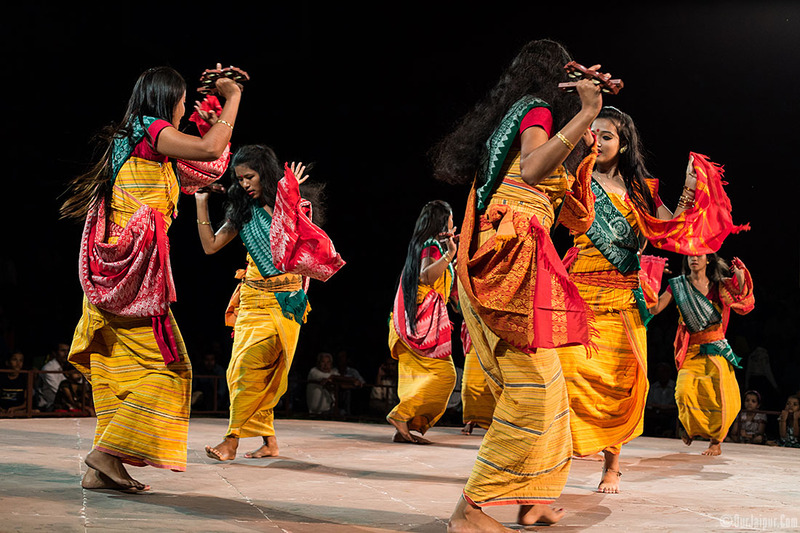 Bardoi Shikhla Folk Dance from Assam. 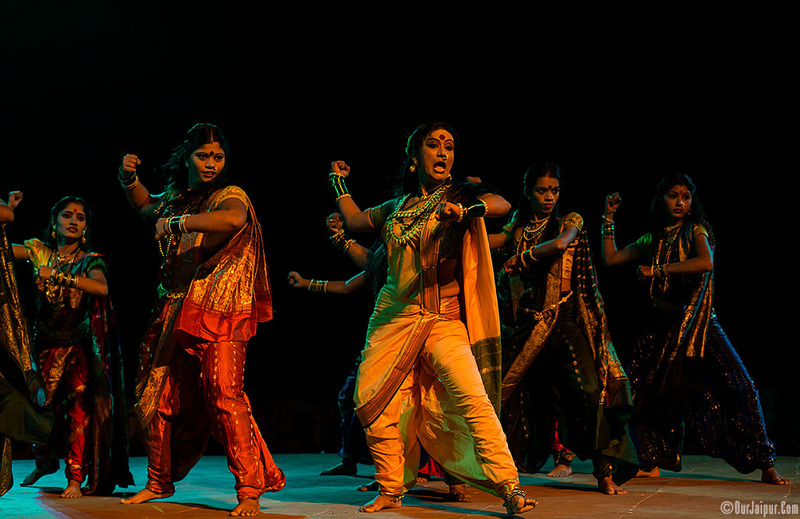 Bihu Folk Dance from Assam. 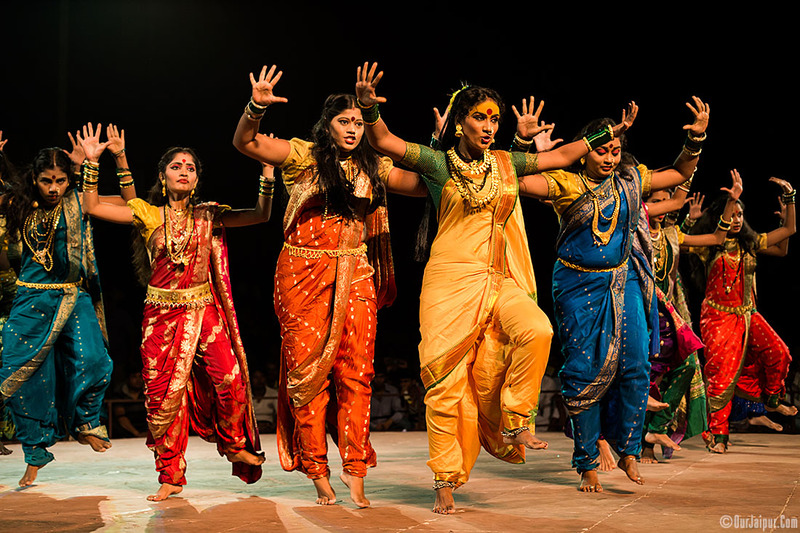 Chhath Puja Folk Dance from Bihar. 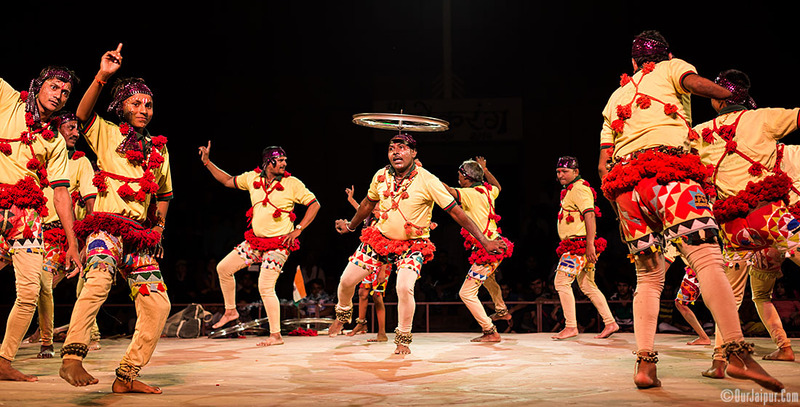 Jat Jatin Folk Dance from Bihar. 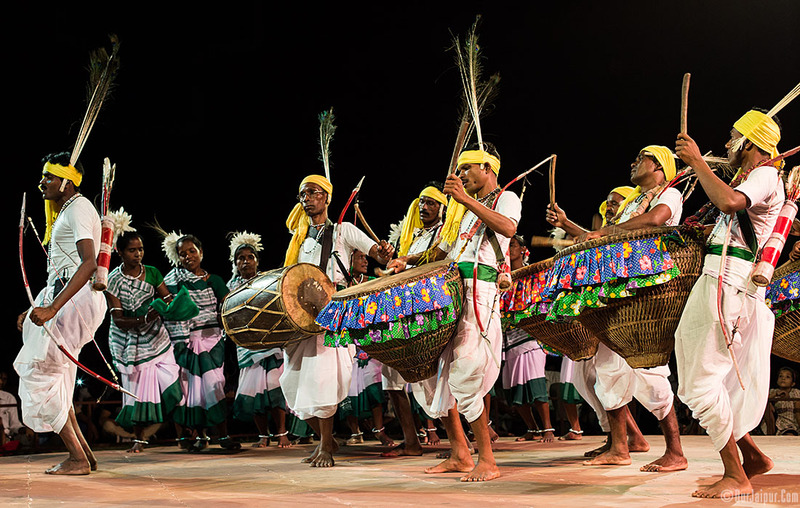 Bastar Band Folk Dance from Chhattisgarh. 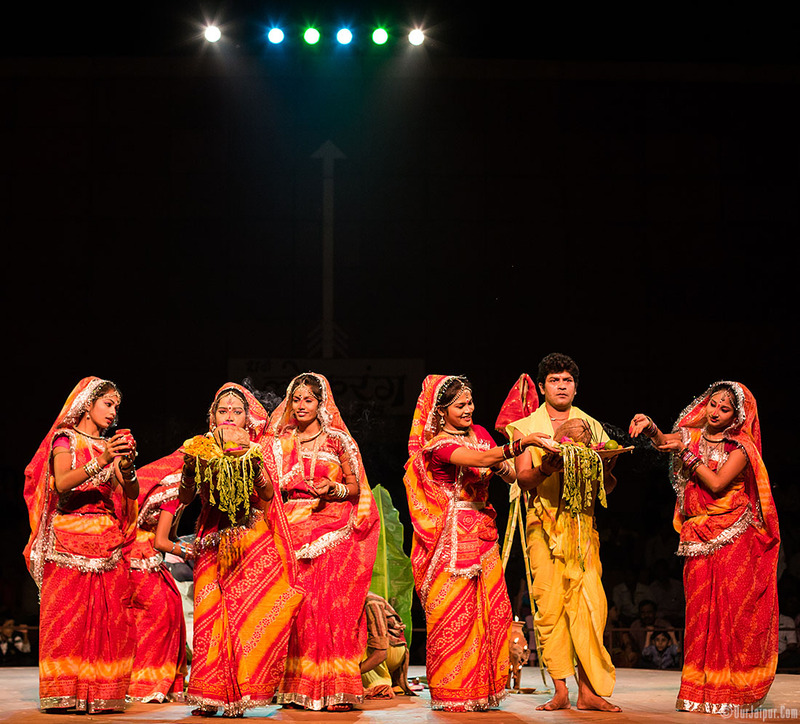 Gedi Folk Dance from Chhattisgarh. 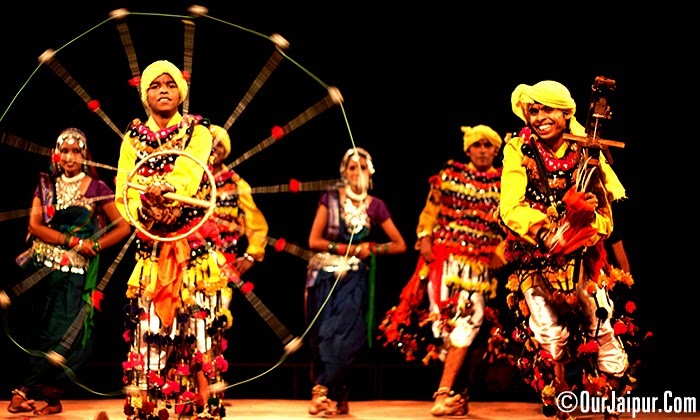 Panthi Folk Dance from Chhattisgarh. 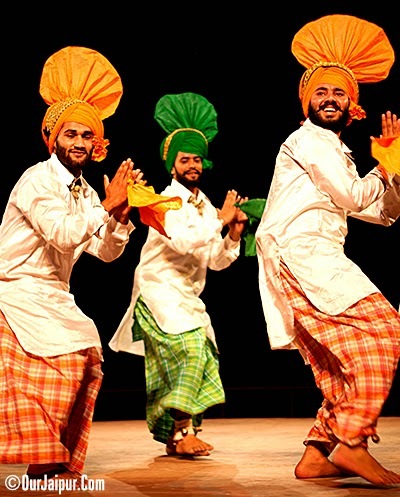 Dola Folk Dance from Goa. 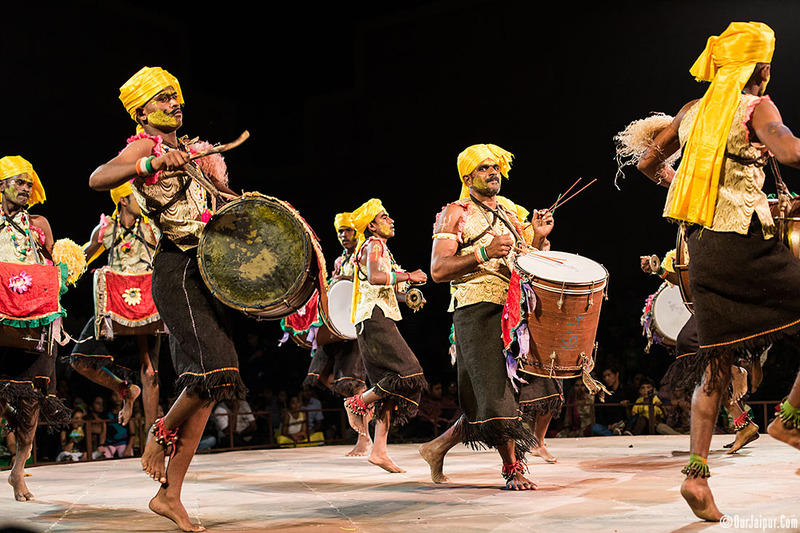 Fugdi Folk Dance from Goa. 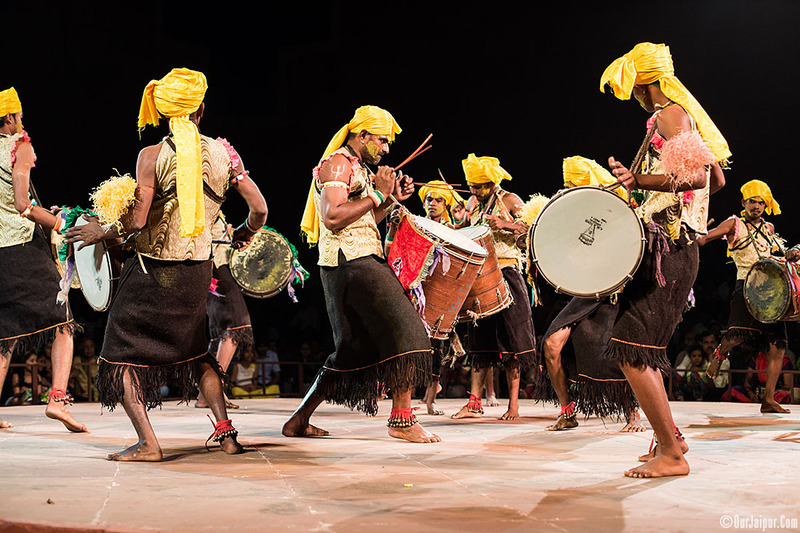 Gof Gunthan Folk Dance from Goa. 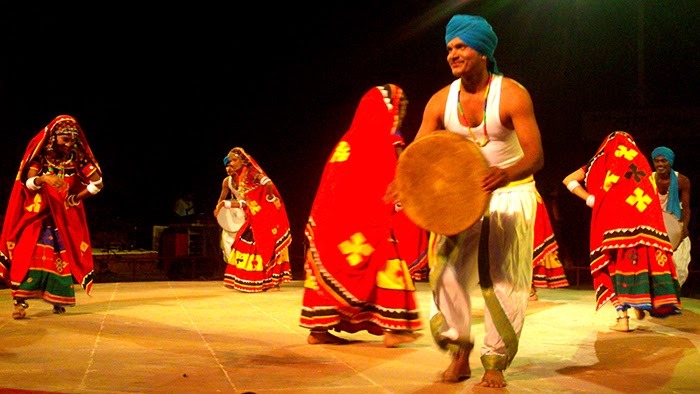 Kalshi Fugdi Folk Dance from Goa. 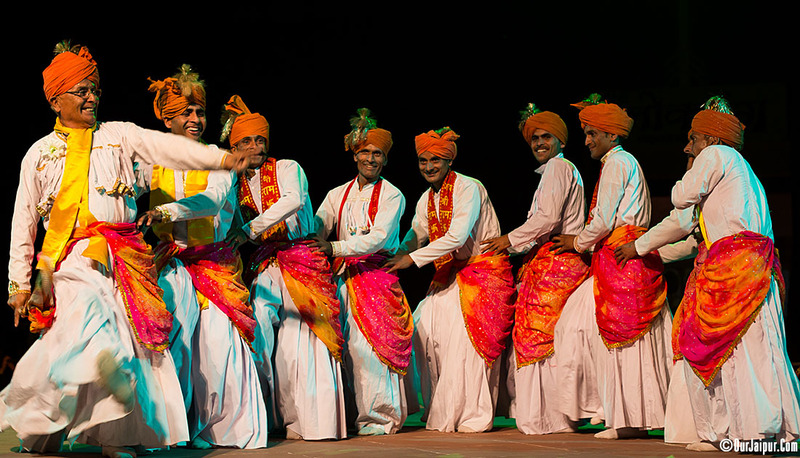 Sidi Goma Dhamal Folk Dance from Gujarat. 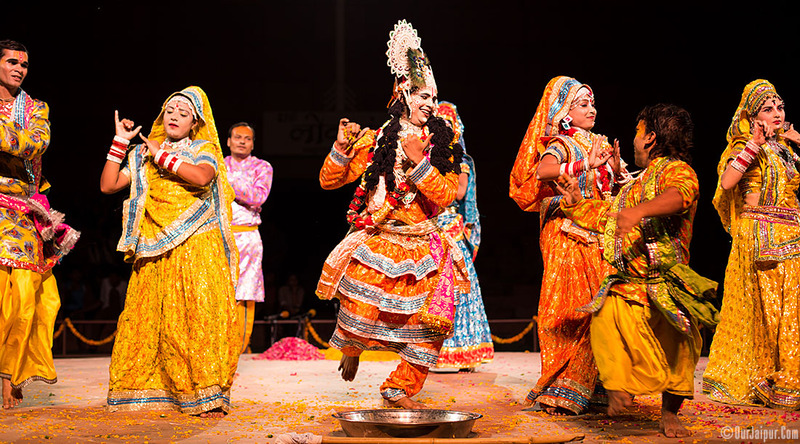 Vasava Holi Folk Dance from Gujrat. 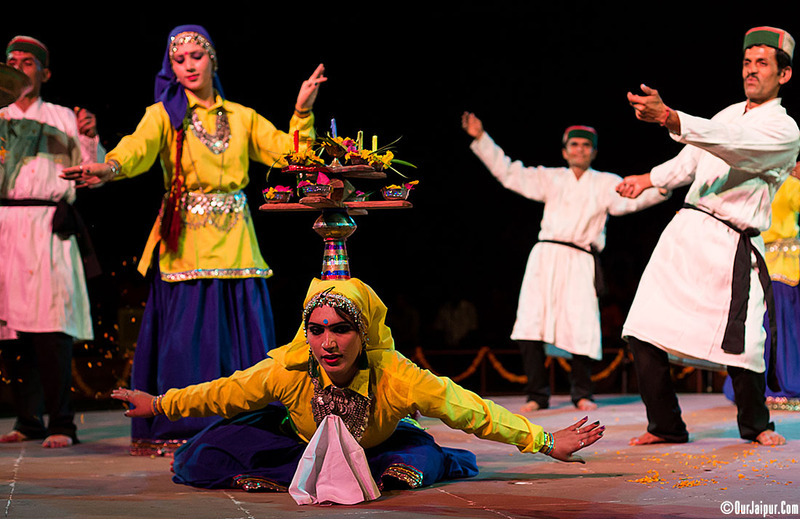 Faag Folk Dance fron Haryana. 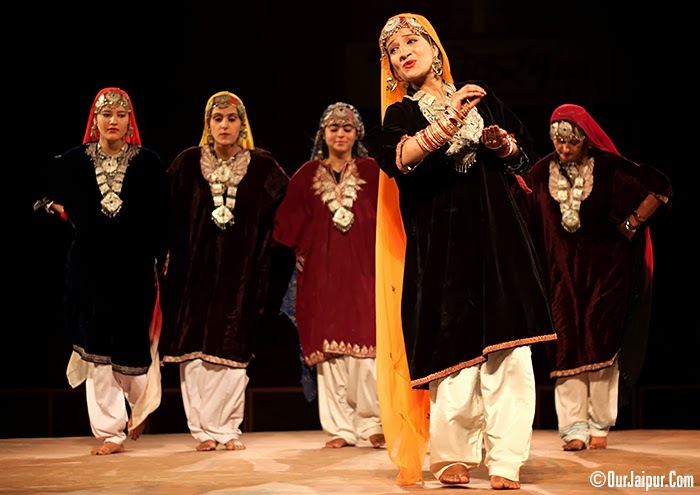 Sirmori Naati folk Dance from Himachal Pradesh. 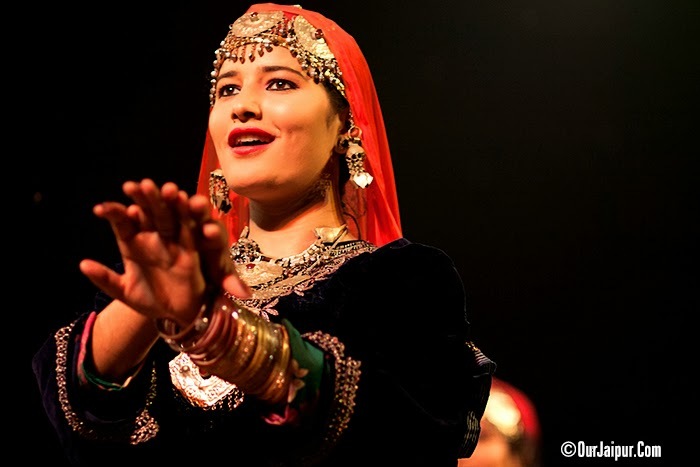 Kuddad Folk Dance from Jammu Kashmir. 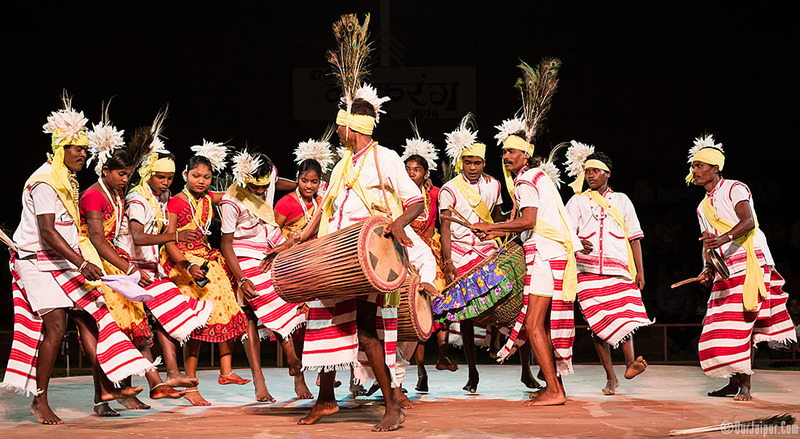 Barah Maha Folk Dance from Jharkhand. 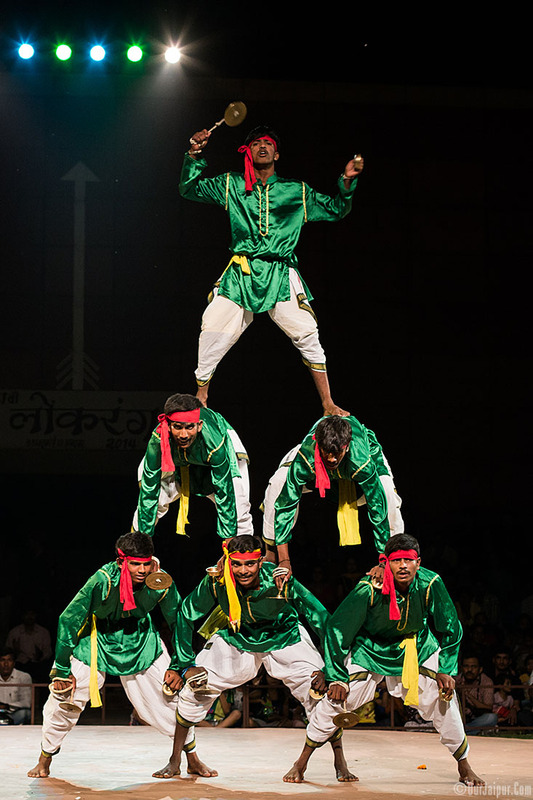 Domkach Folk Dance from Jharkhand. 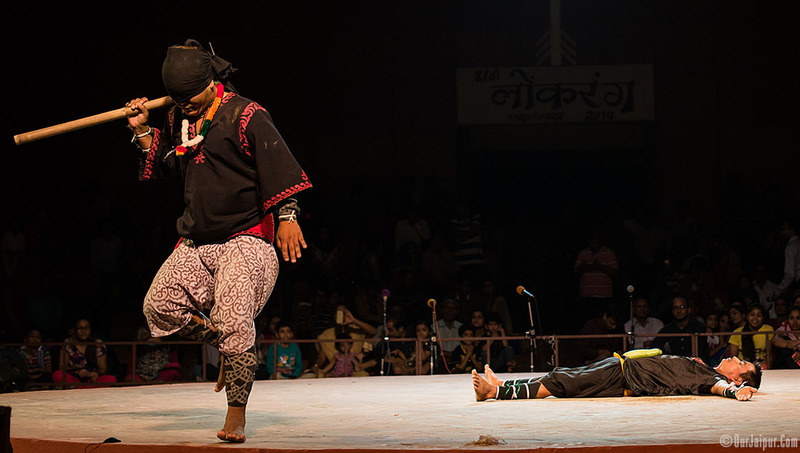 Kadsa Folk Dance from Jharkhand. 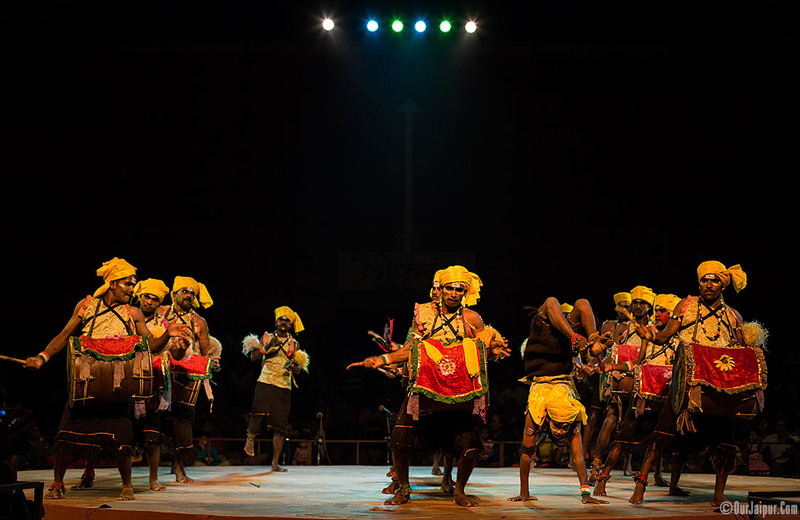 Karam Adhartiya Folk Dance from Jharkhand. 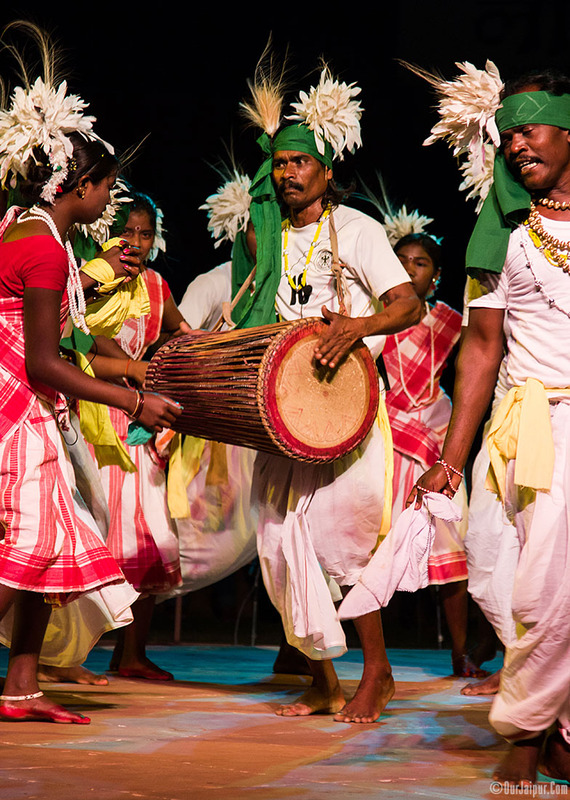 Matha Folk Dance from Jharkhand. 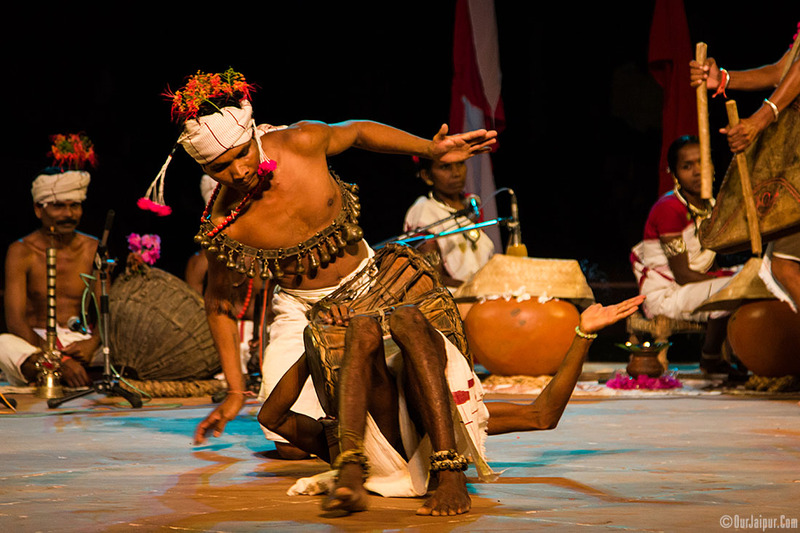 Mundari Folk Dance from Jharkhand. 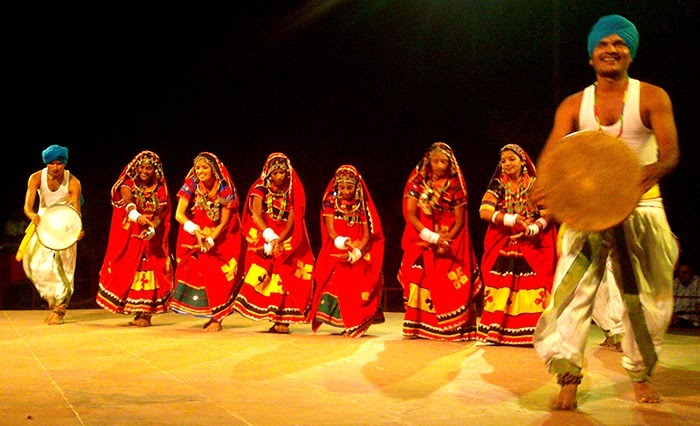 Nagpuri Folk Dance from Jharkhand. 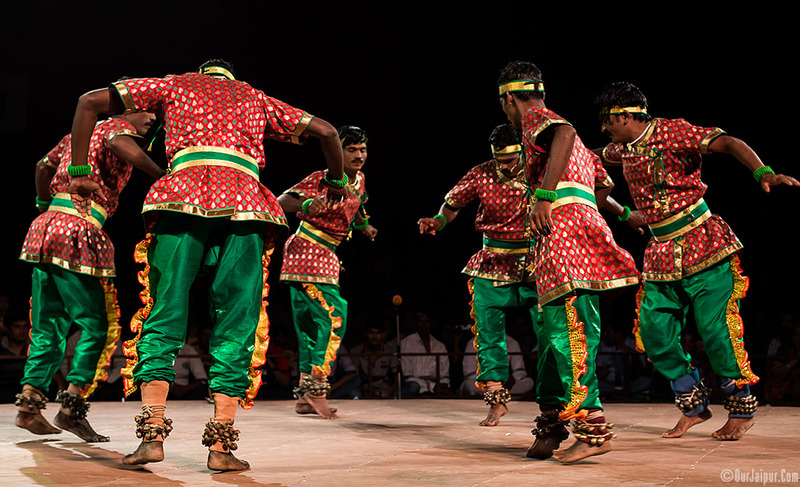 Veeragase Folk Dance from Karnataka. 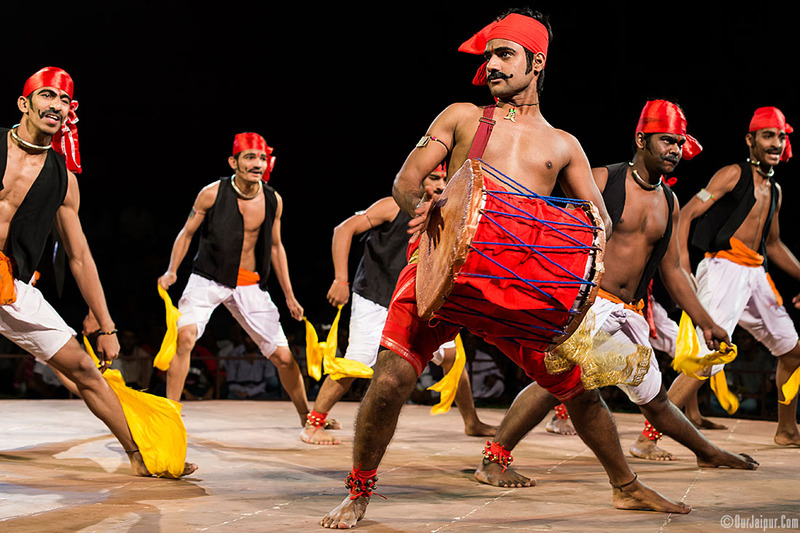 Dollu Kunitha Folk Dance from Karnataka. 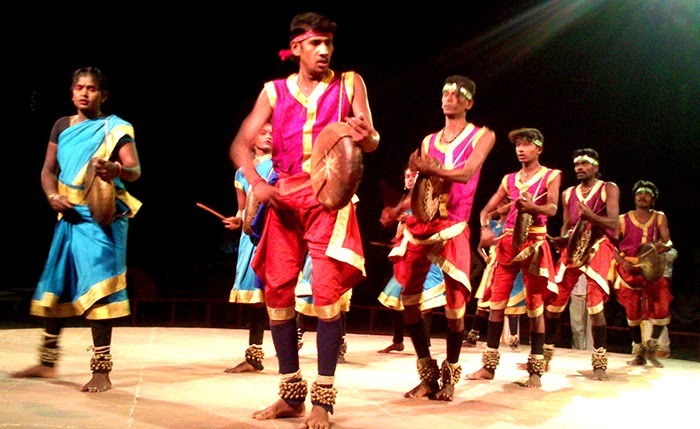 Kamsale Folk Dance from Karnataka. 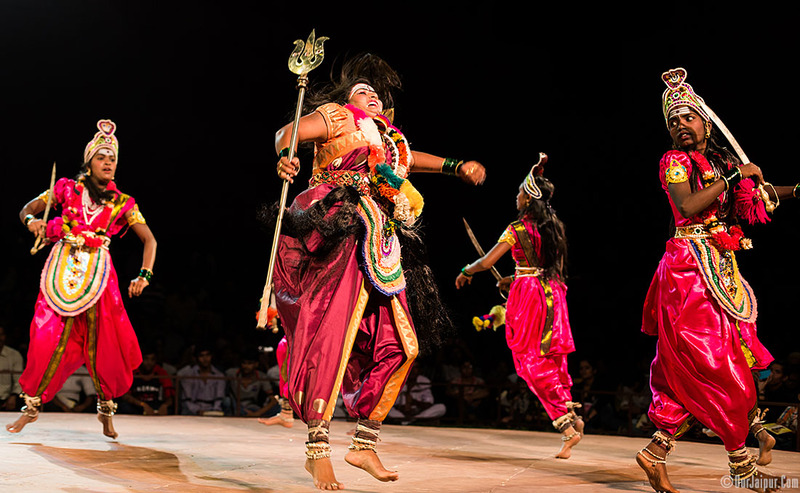 Puja Kunitha Folk Dance from Karnataka. 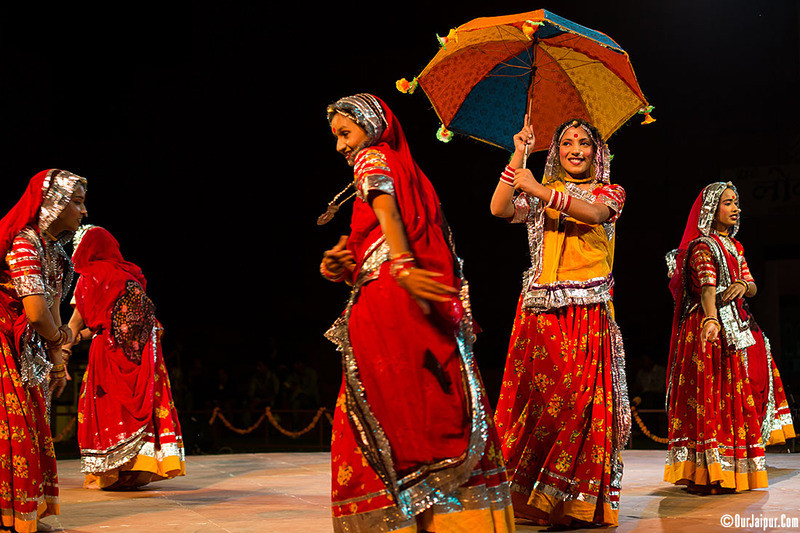 Matki Folk Dance from Madhya Pradesh. 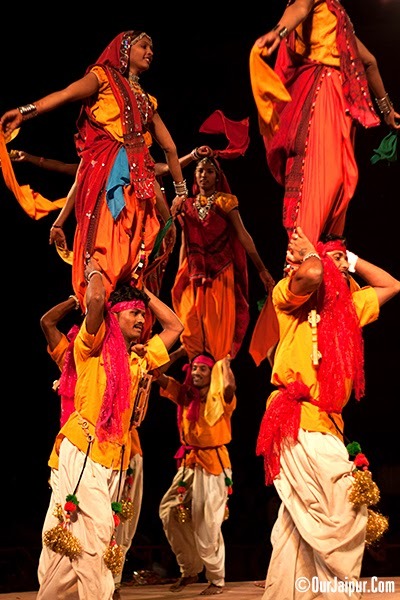 Panihari Folk Dance from Madhya Pradesh. 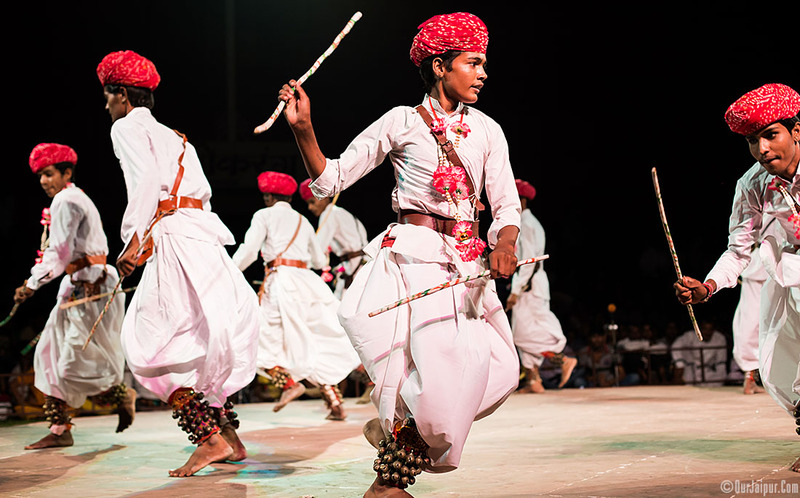 Dhangar Folk Dance from Maharashtra. 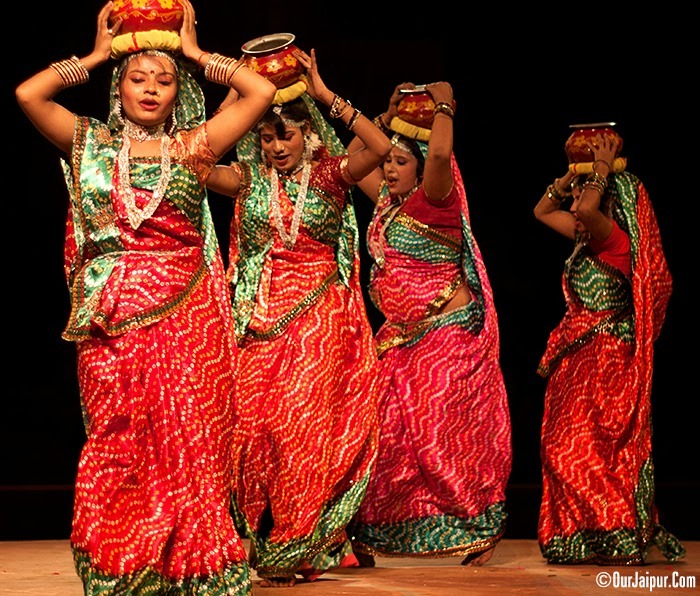 Lavani Folk Dance from Maharashtra. 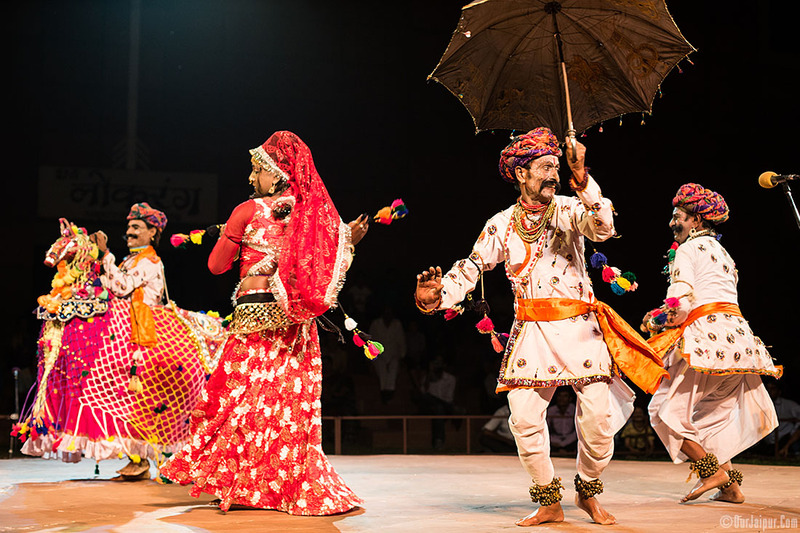 Naman Folk Dance from Maharashtra. 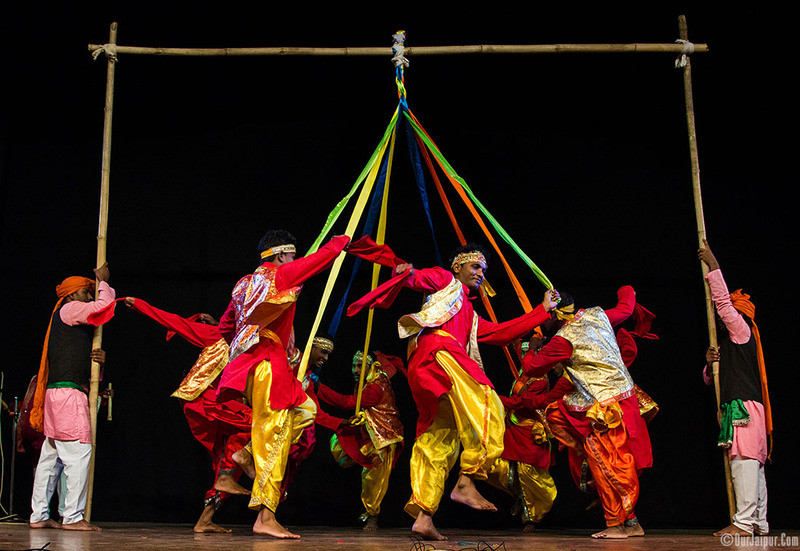 Dhangari Gaja Folk Dance from Maharashtra. 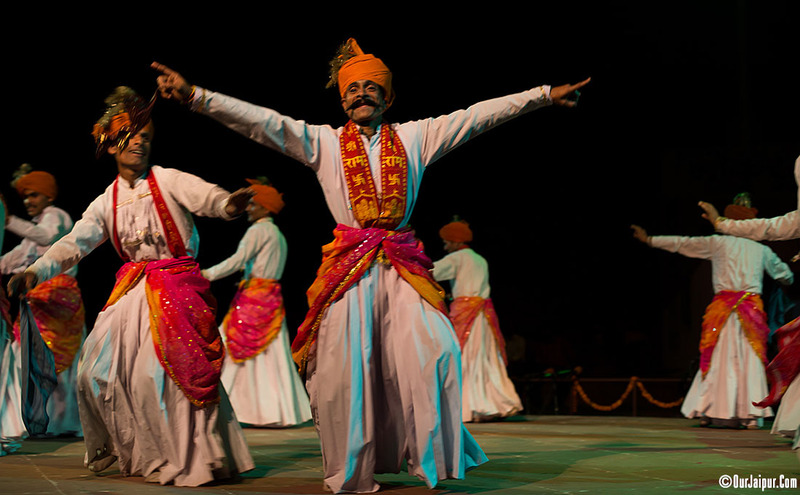 Potraj Folk Dance from Maharashtra. 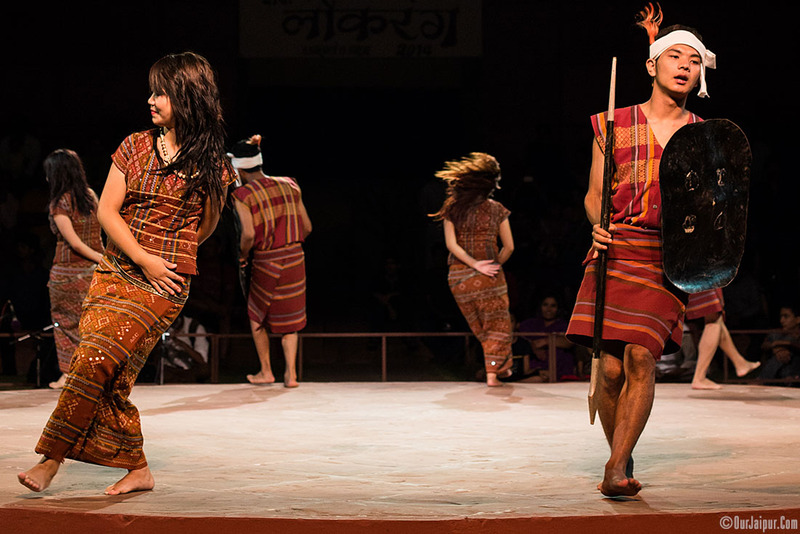 Lai Haraoba Folk Dance from Manipur. 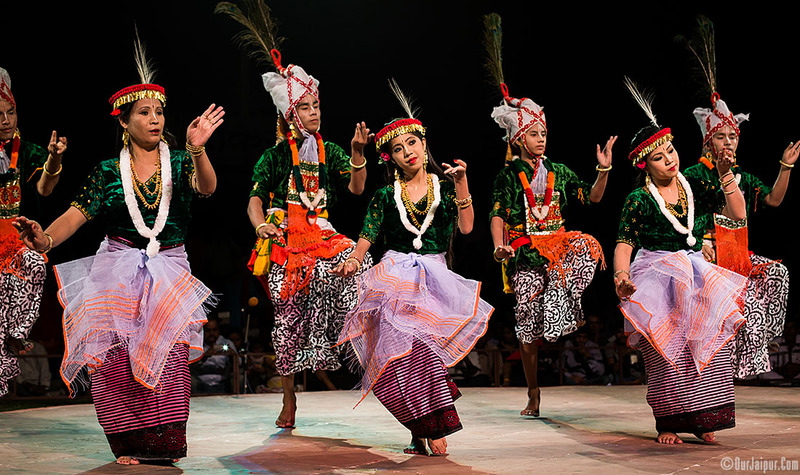 Thang Ta Folk Dance from Manipur. 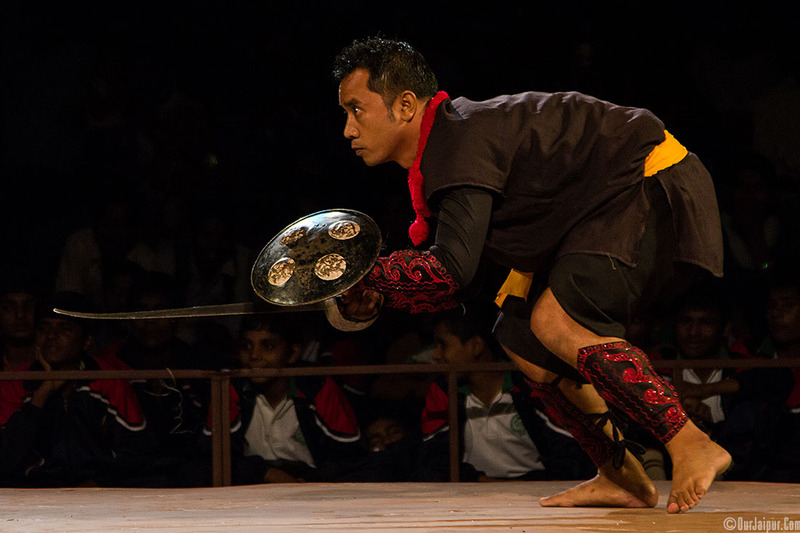 Wangala Folk Dance from Meghalaya. 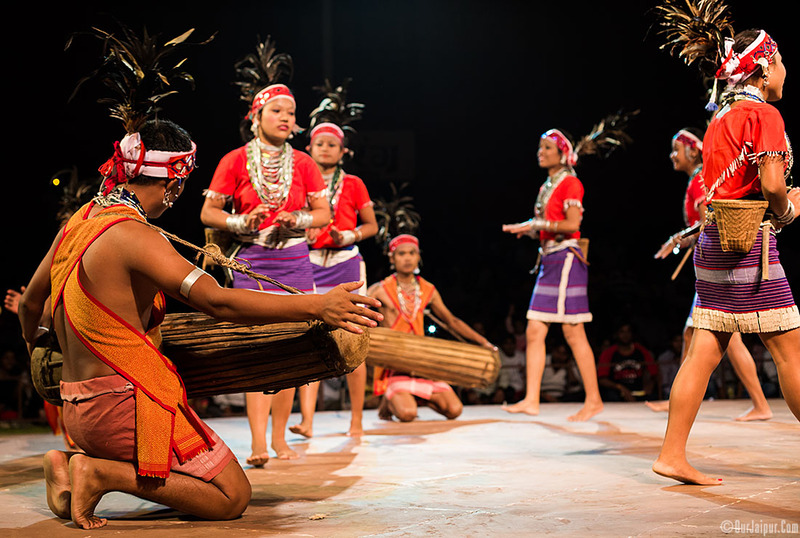 Solakia Folk Dance from Mizoram. 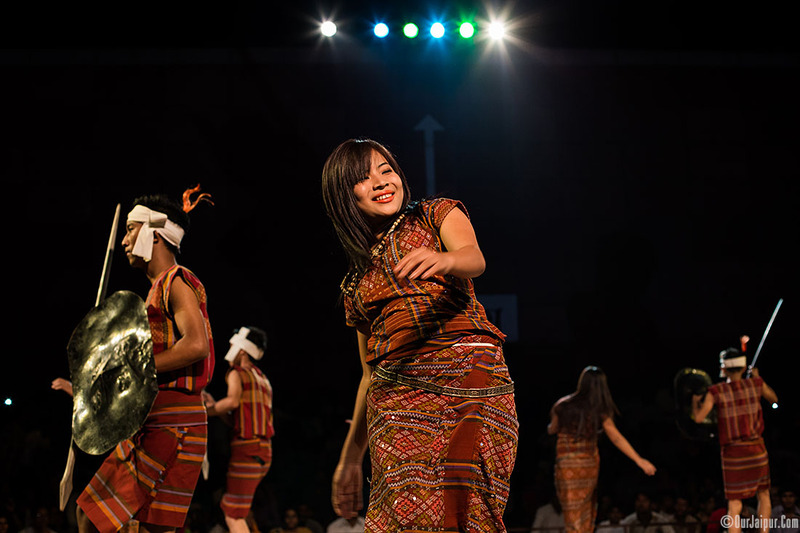 Sarlamkai Folk Dance from Mizoram. 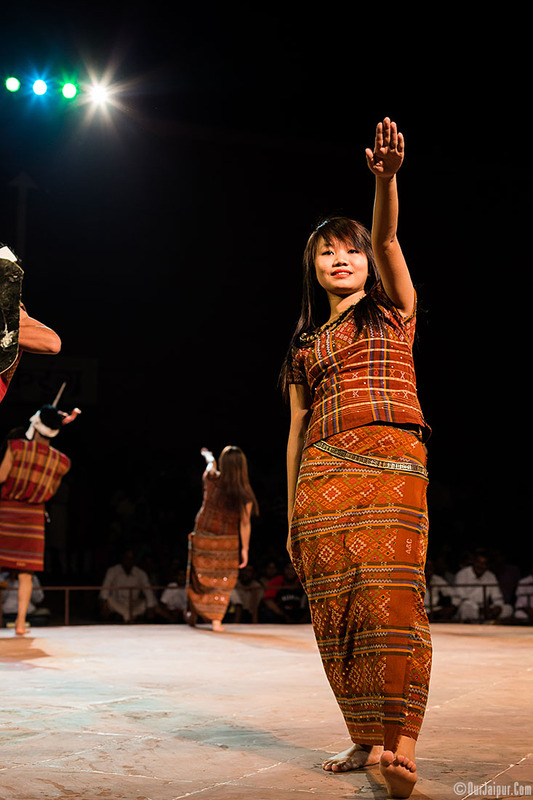 Cheraw Folk Dance from Mizoram. 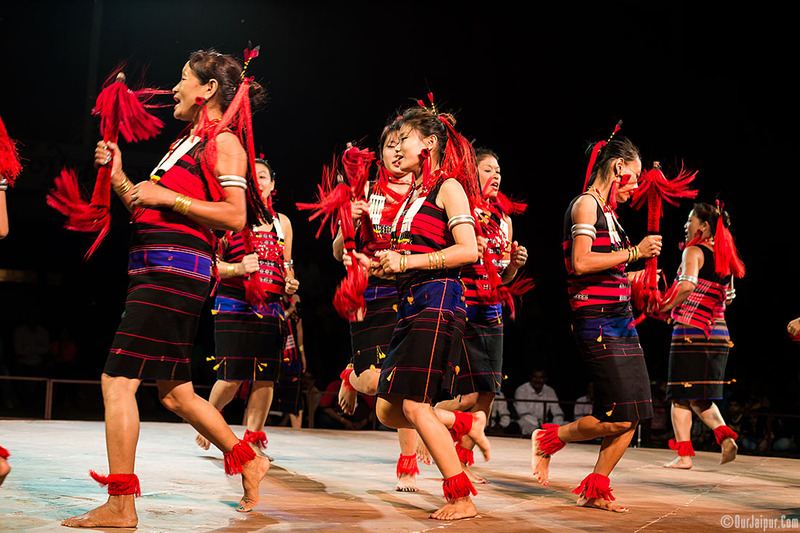 Chang Lo or Sua Lua or Krishi Folk Dance from Nagaland. 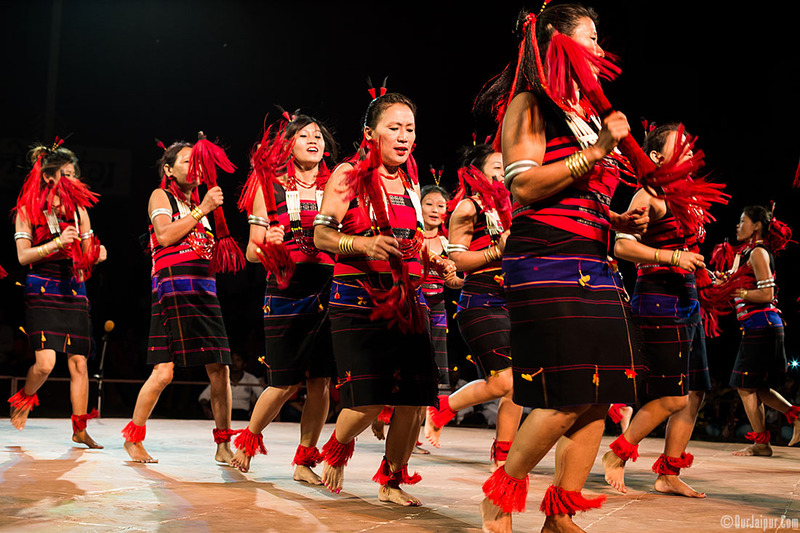 Mugyanta Folk Dance from Nagaland. 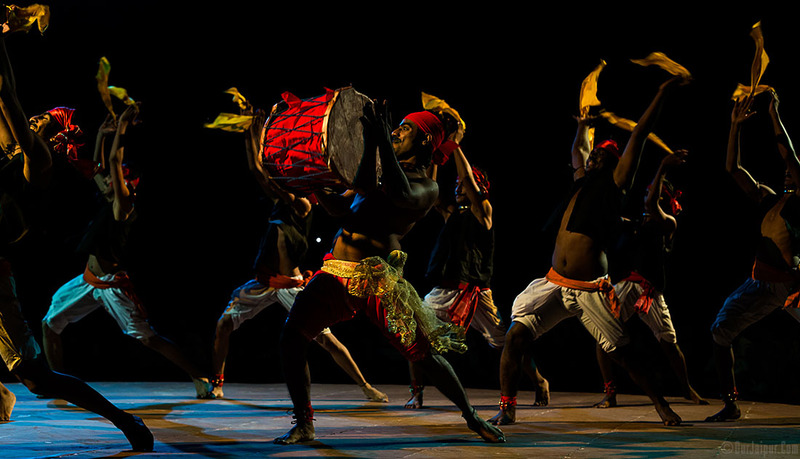 Gotipua Folk Dance from Orissa. 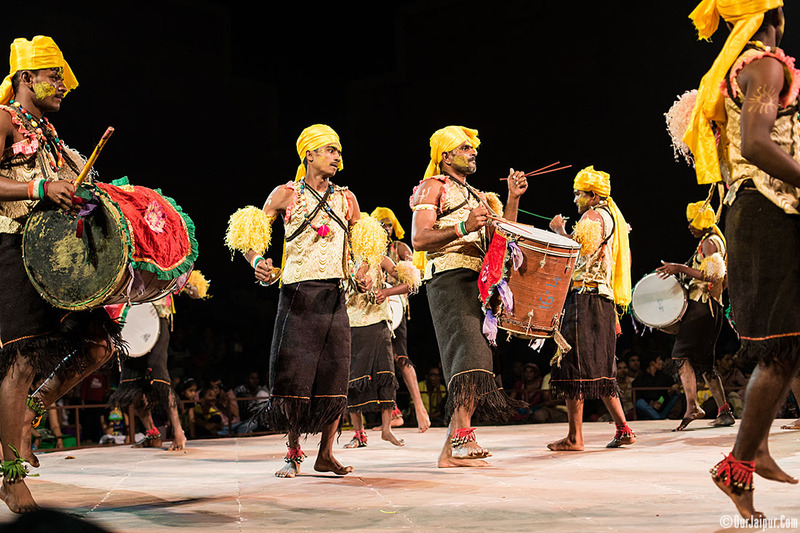 Sambalpuri Folk Dance from Orissa. 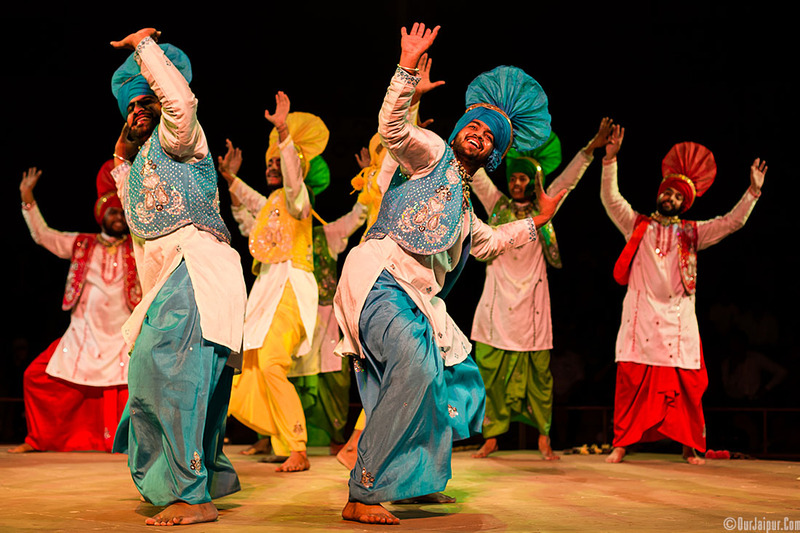 Bhangra Folk Dance from Punjab. 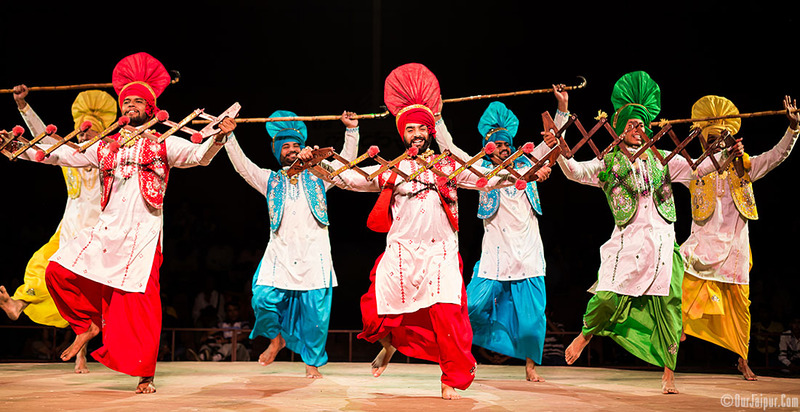 Jindua Folk Dance from Punjab. 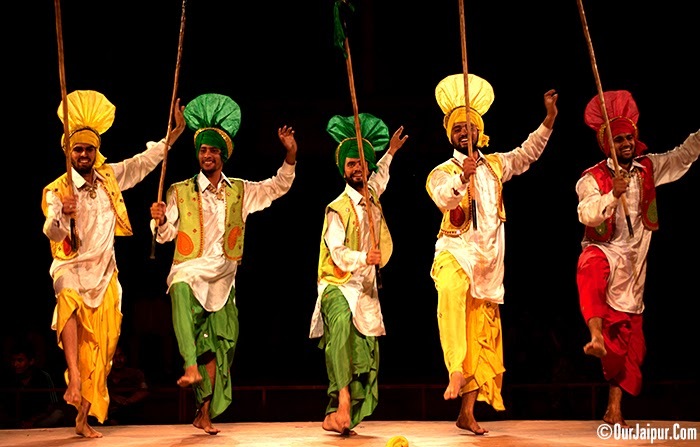 Gair Folk Dance from Rajasthan. 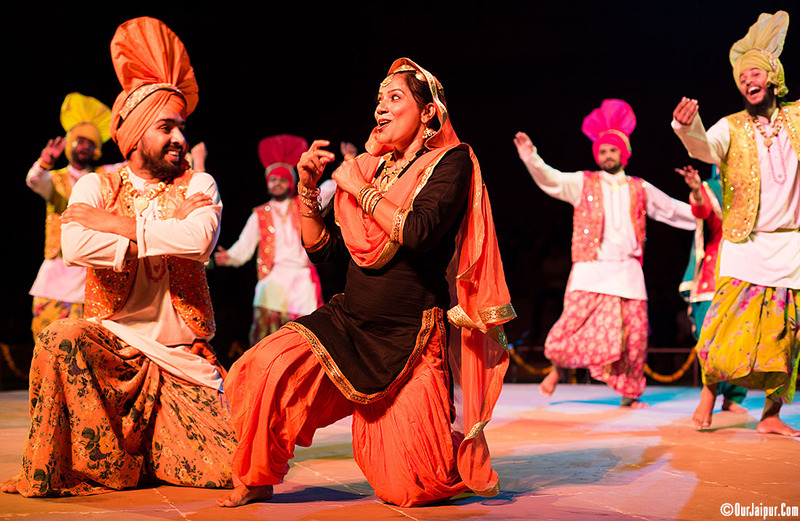 Sahariya Folk Dance from Rajasthan. 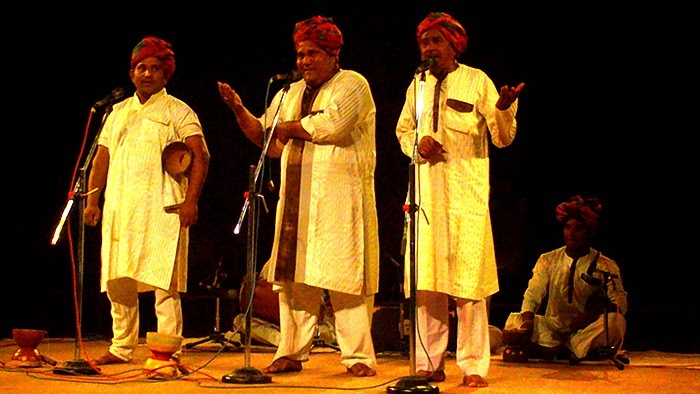 Langa Gayan (Singing) from Rajasthan. 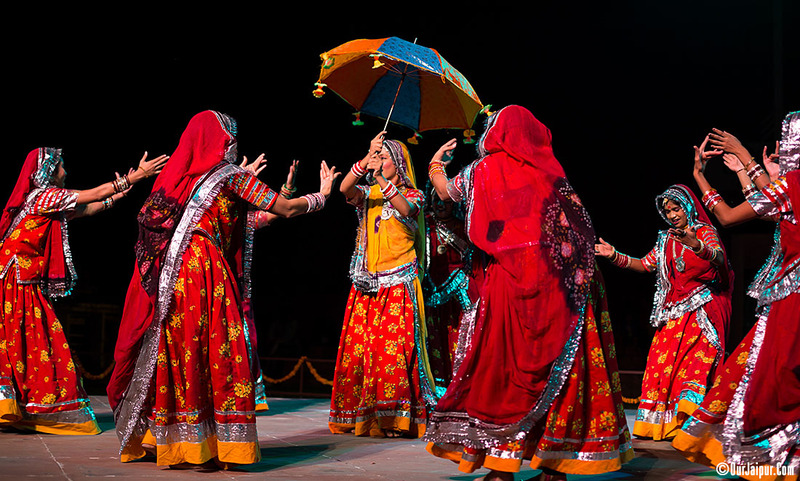 Terah Taali Folk Dance from Rajasthan. 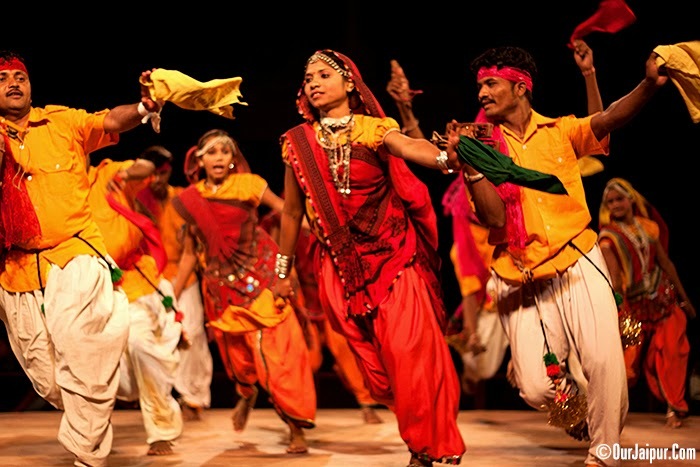 Aangi Gaur Folk Dance from Rajasthan. 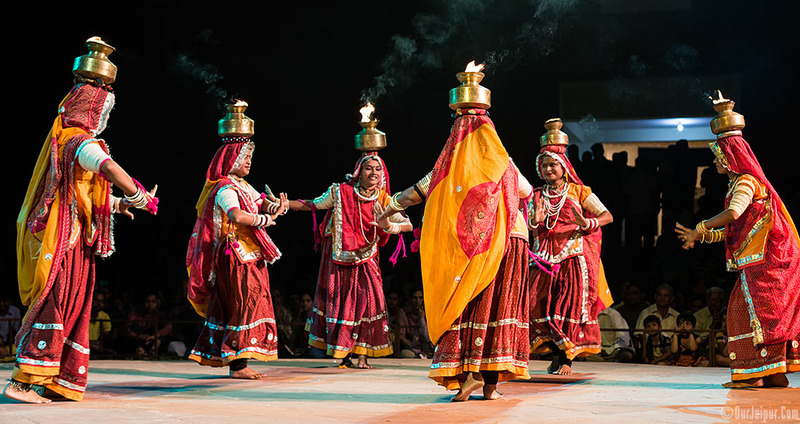 Bhopa Bhopi Song from Rajasthan. 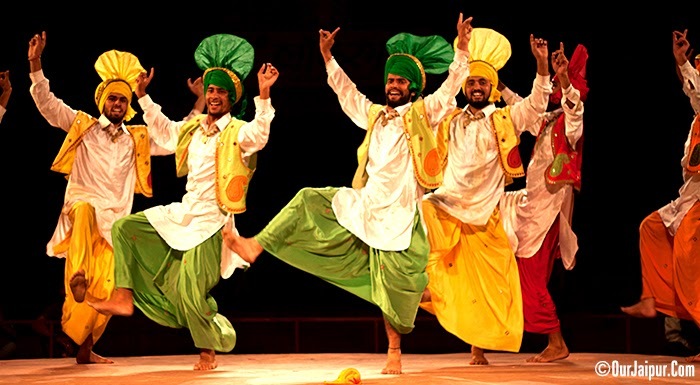 Chari Folk Dance from Rajasthan. 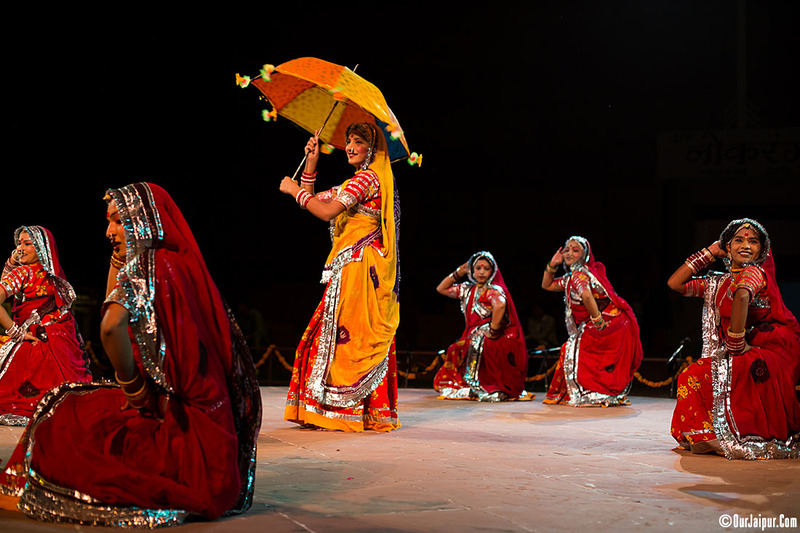 Garasiya Folk Dance from Rajasthan. 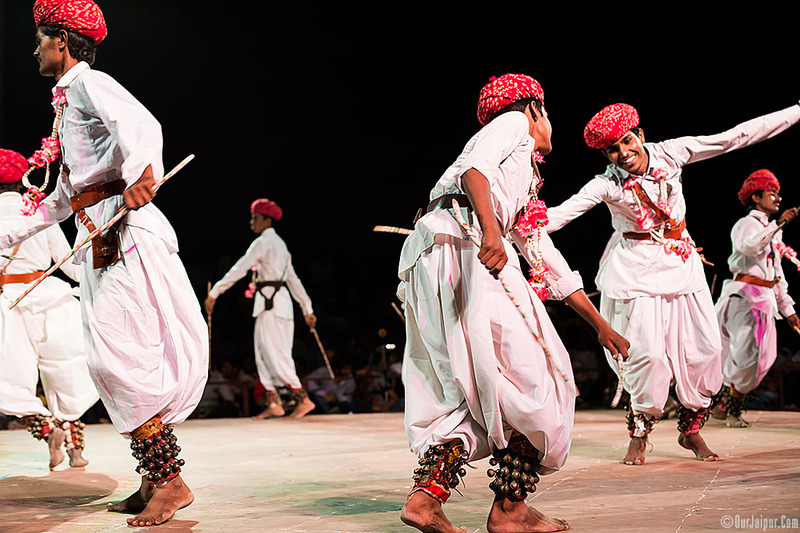 Kachhi Ghodi Folk Dance from Rajasthan. 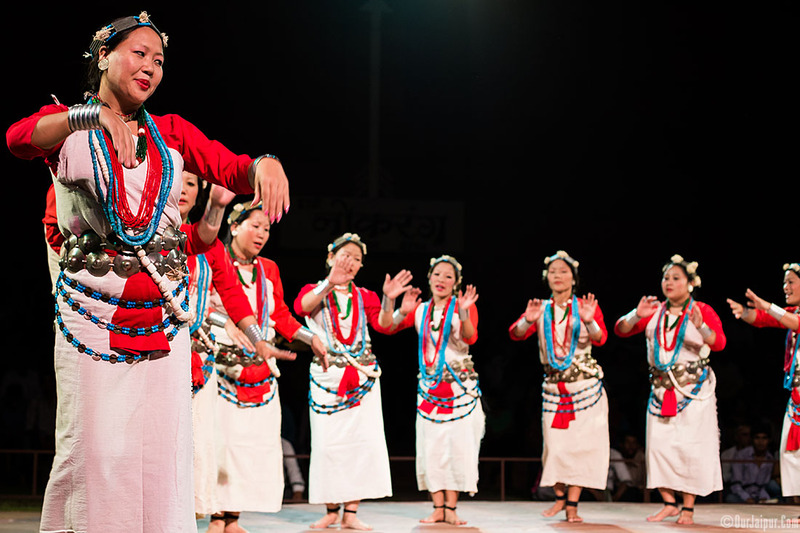 Tamang Selo Folk Dance from Sikkim. 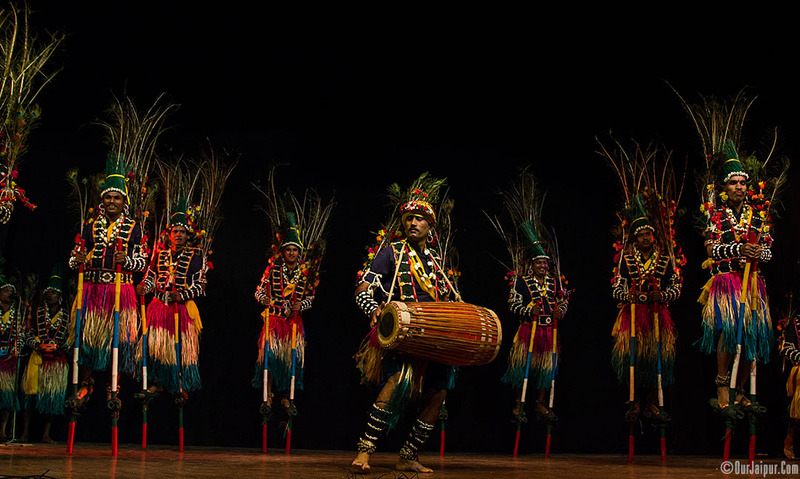 Ghatu Folk Dance from Sikkim. 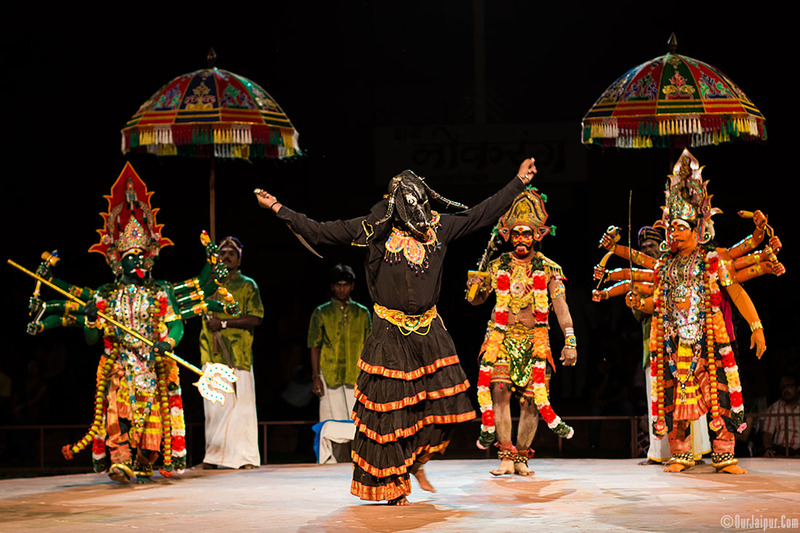 Kaliyattam Folk Dance from Tamil Nadu. 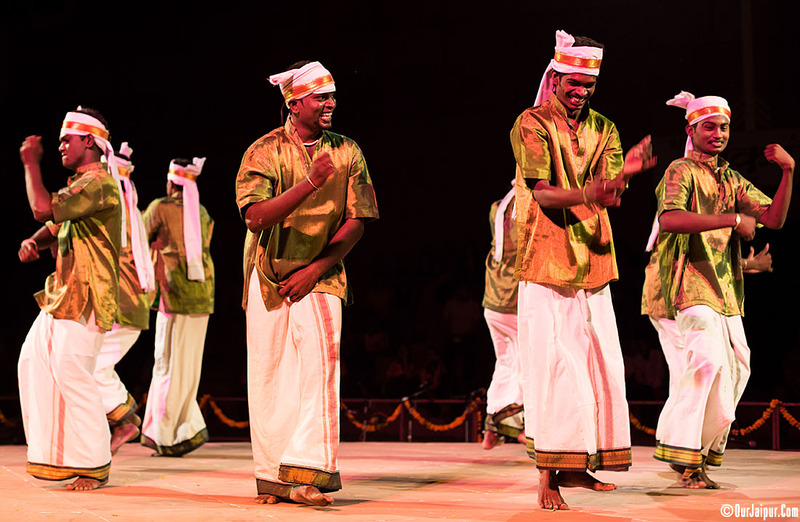 Silambattam Folk Dance from Tamil Nadu. 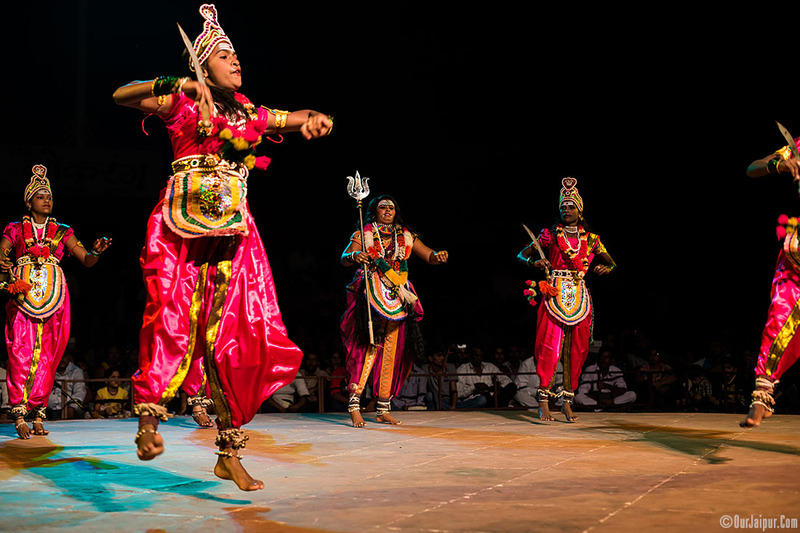 Thevarattam Folk Dance from Tamil Nadu. 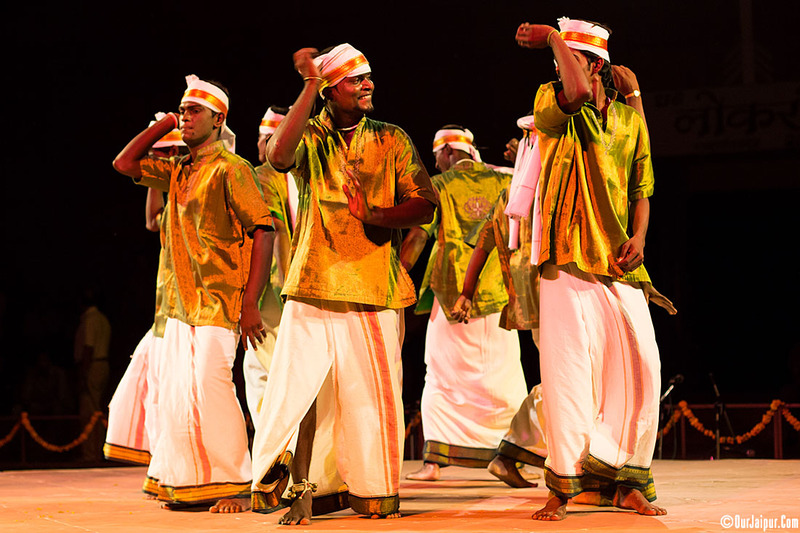 Thudumbattam Folk Dance from Tamil Nadu. 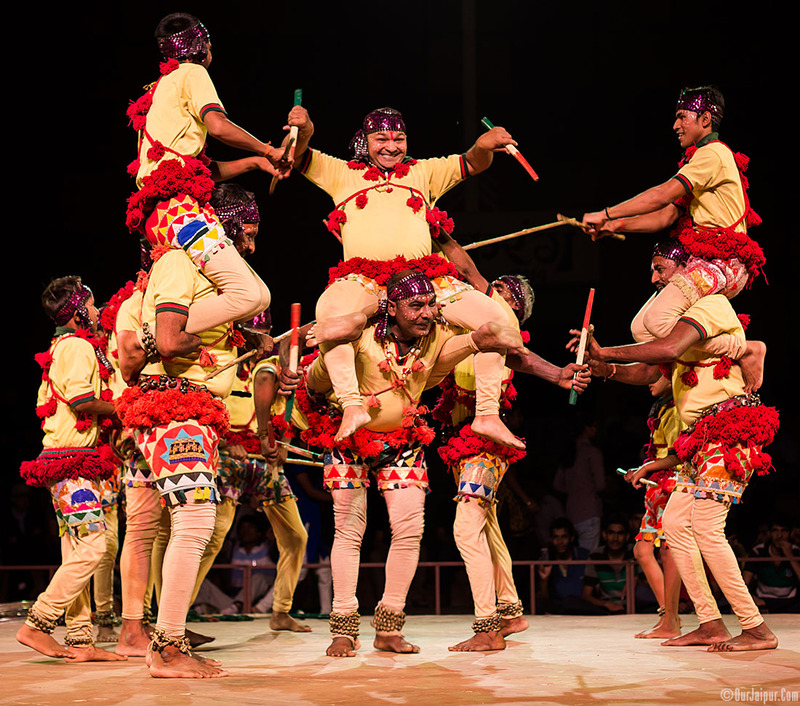 Vanilla attam kolattam Folk Dance from Tamil Nadu. 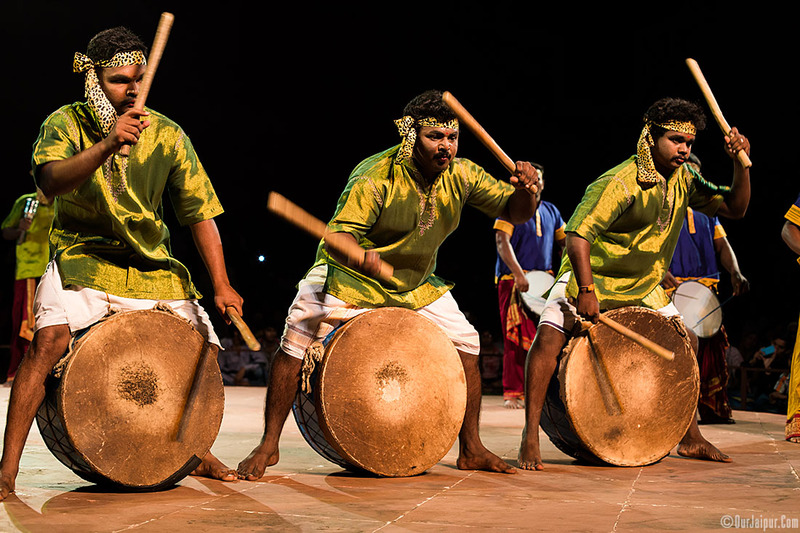 Khadgam Kavadi Folk Dance from Tamil Nadu. 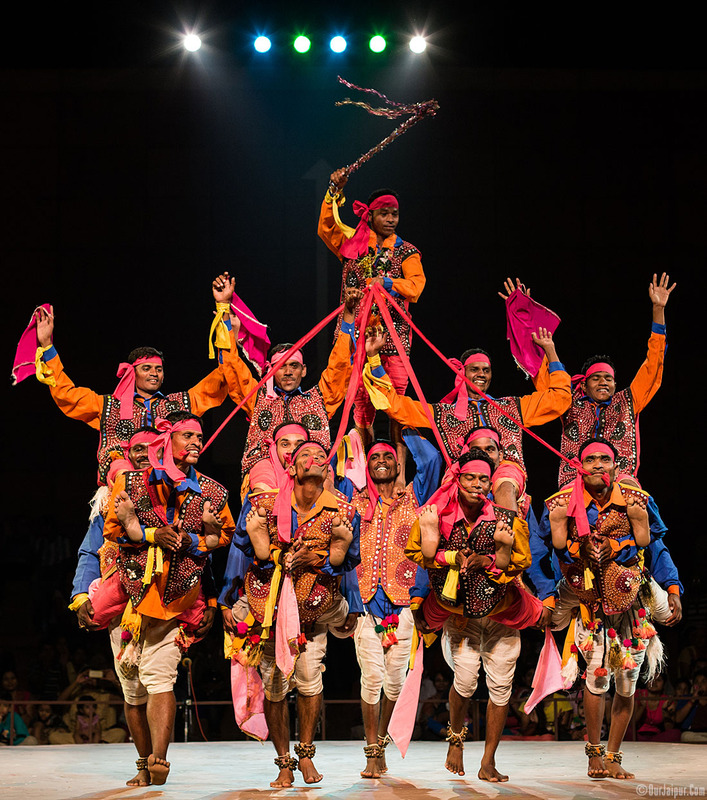 Hoja Giri Folk Dance from Tripura. 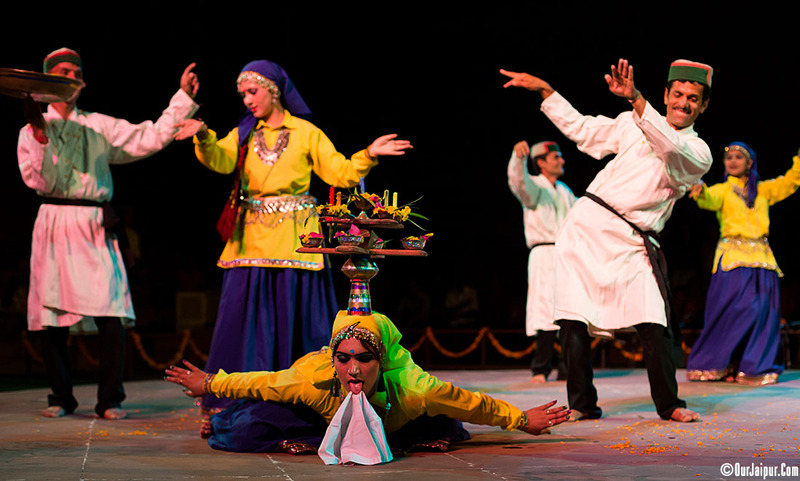 Mayur Folk Dance from Uttar Pradesh. 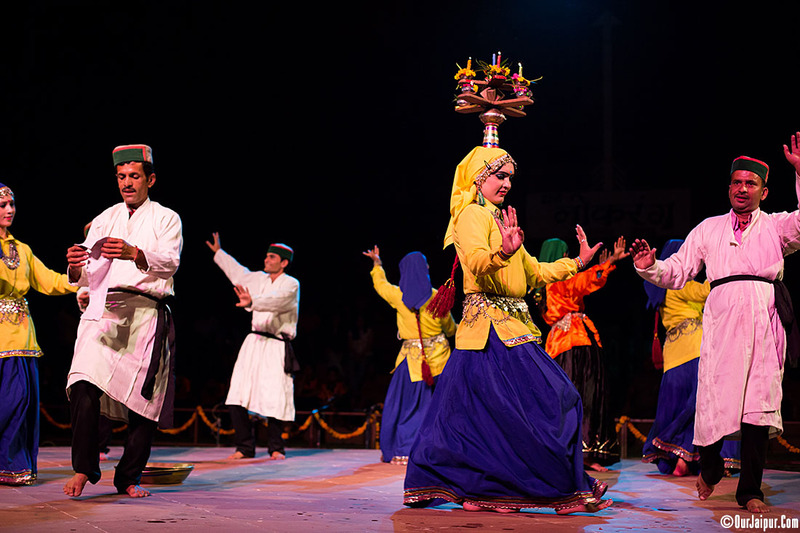 Pai Jhanda Folk Dance from Uttar Pradesh. 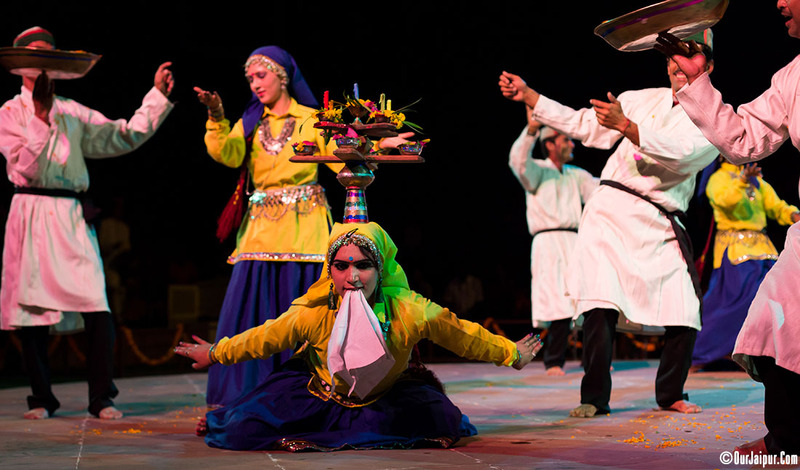 Phoolon ki Holi Folk Dance from Uttar Pradesh. 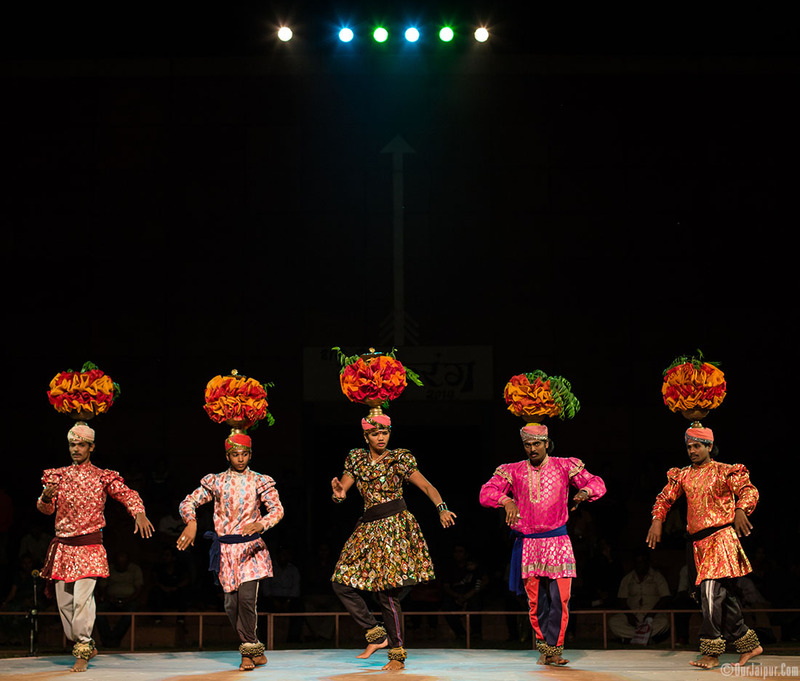 Chappelli Folk Dance from Uttarakhand. 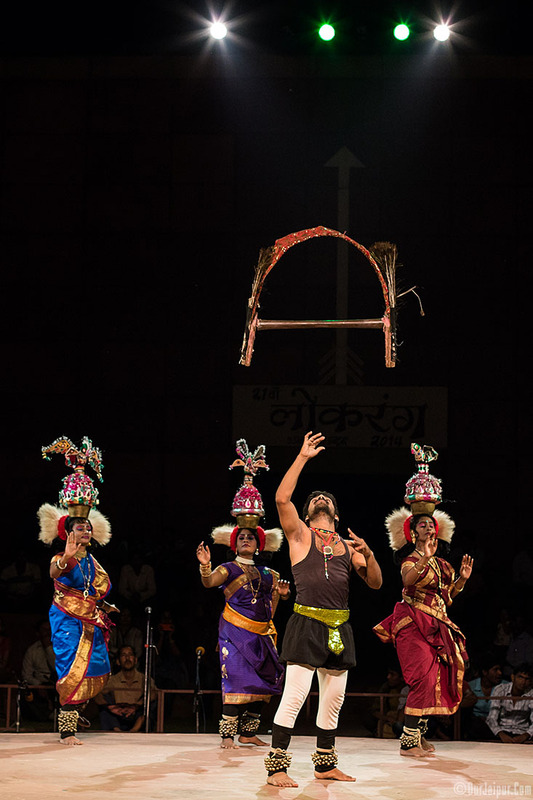 “Lokrang” – a mega annual festival at the Jawahar Kala Kendra, Jaipur. 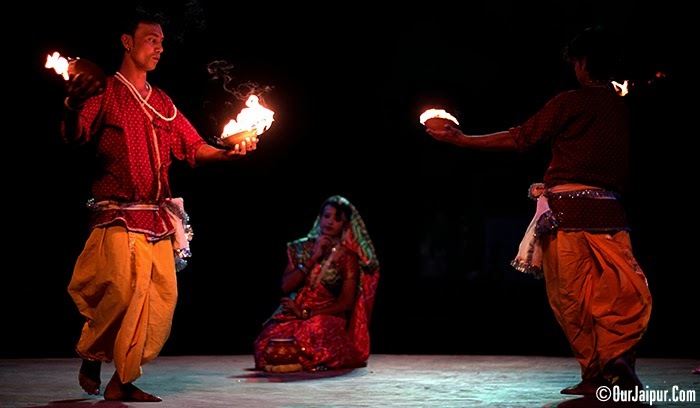 started in 1994, is a 11 day Festival held in the month of October – November approx 15 days before Diwali from the first day of the month of Kartika. 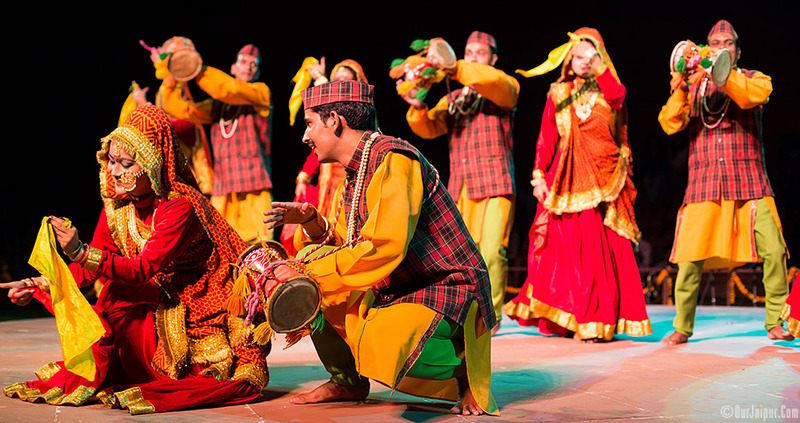 Dates of 2013 Lokrang are from 19 to 29 October and dates of 2014 are from 9 to 19 Oct 2014. 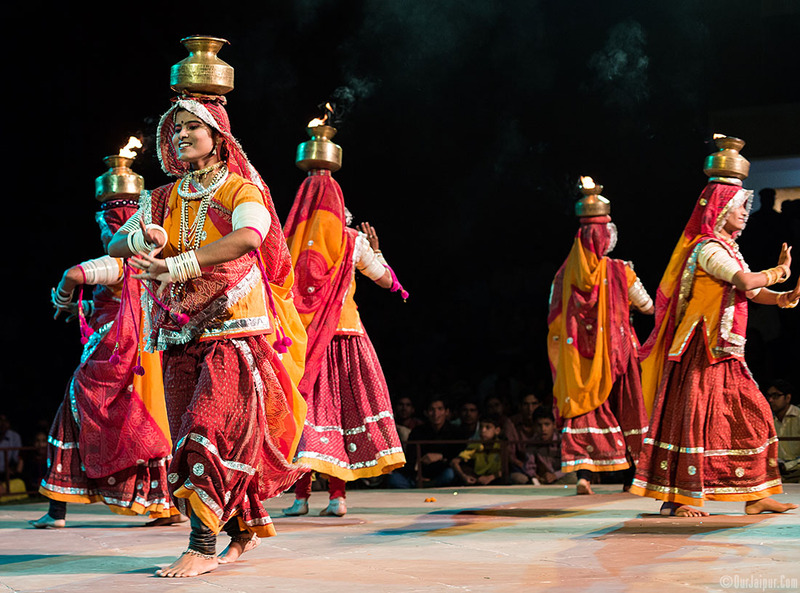 To Celebrate the folk art and cultural traditions of India the Lokrang or say “National Folk Festival” Comprising National Dance Festival and National Handicraft Fair (Gandhi Shilp Bazar). 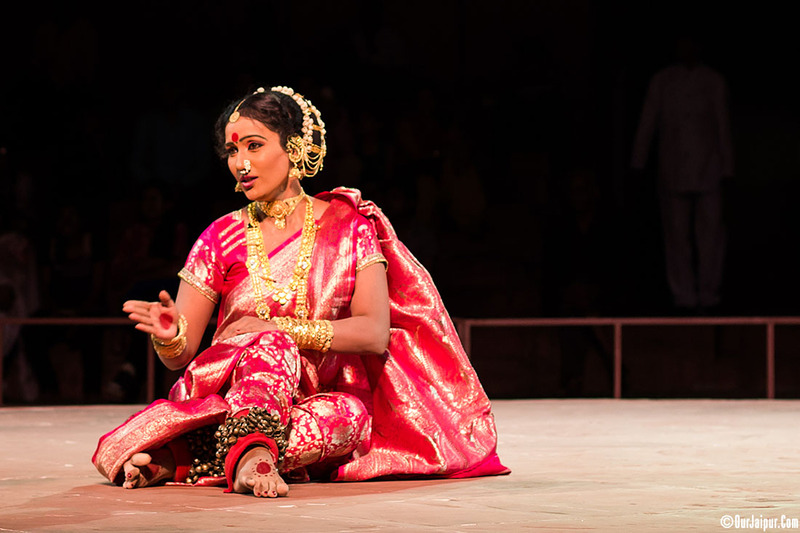 The Presentations of National Dance Festival are performed in the beautiful ambience of “Madhyavarti” (Open air theatre) of Jawahar Kala Kendra, Jaipur. 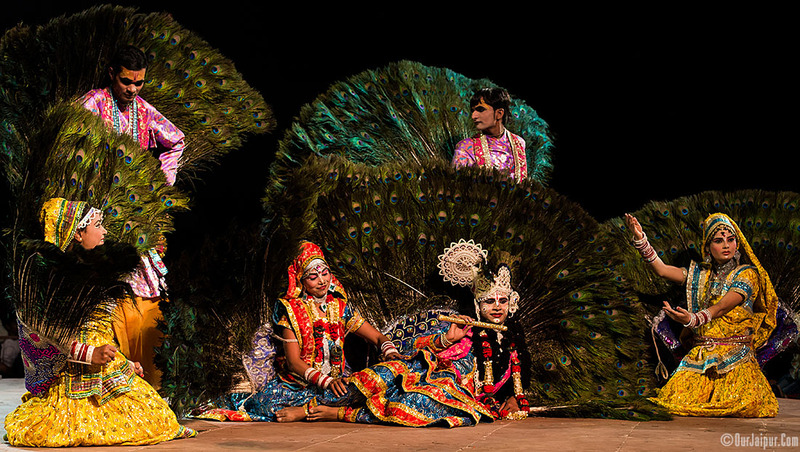 It starts around 7 in the evening and performance go on for almost two hours. 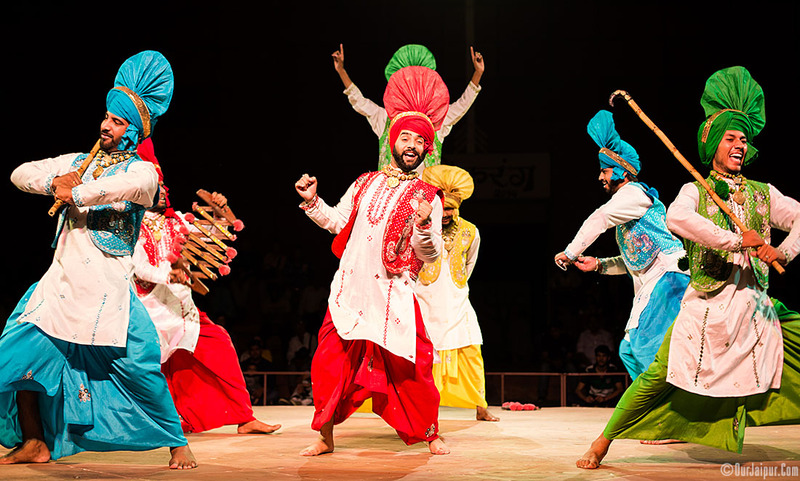 This year more than 60 kinds of Dances from the performers from 18 States and 1 union territory is going to get presented to the audience. 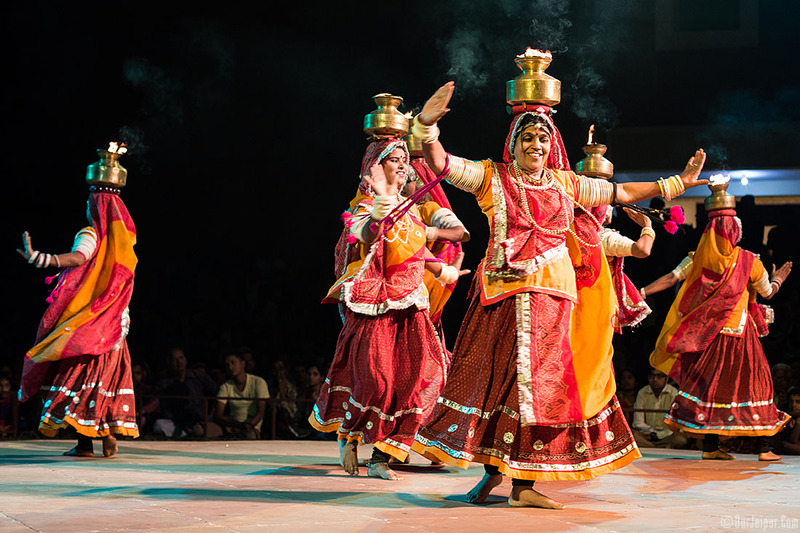 The list of Dances and states are . . . .
Simultaniously, the National Handicraft Fair (Gandhi Shilp Bazar) at the Shilpgram of Jawahar Kala Kendra, Jaipur. depicts the praiseworthy participation of the indigenous artisans from various states of the country. 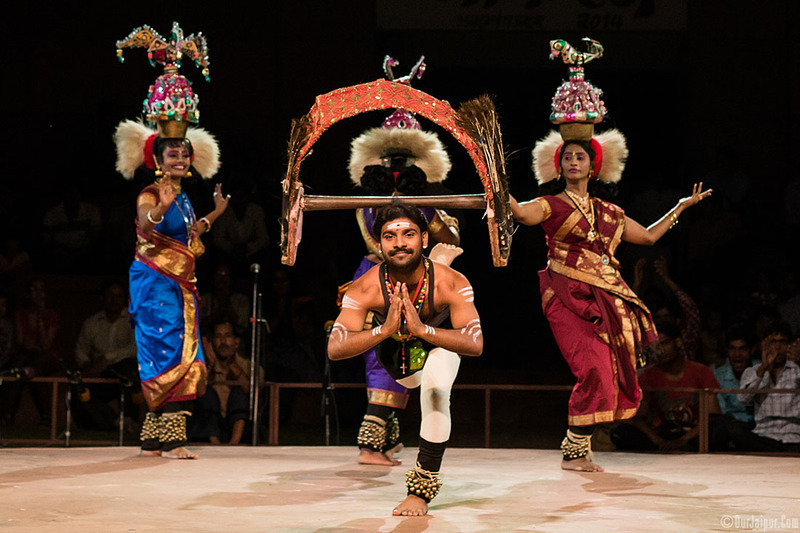 This festival not only just provide entertainment and shopping but it gives opportunity for the interaction between artists and art lovers. If you are interested in Folk art then I will say this is a very Interesting Festival to Attend. 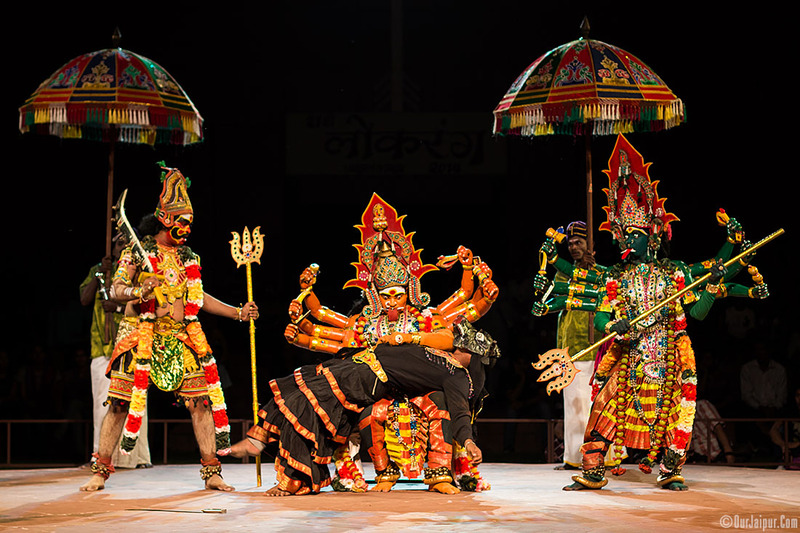 Below are Just few Pics and Small Video Clips to Give you Idea of Festival. 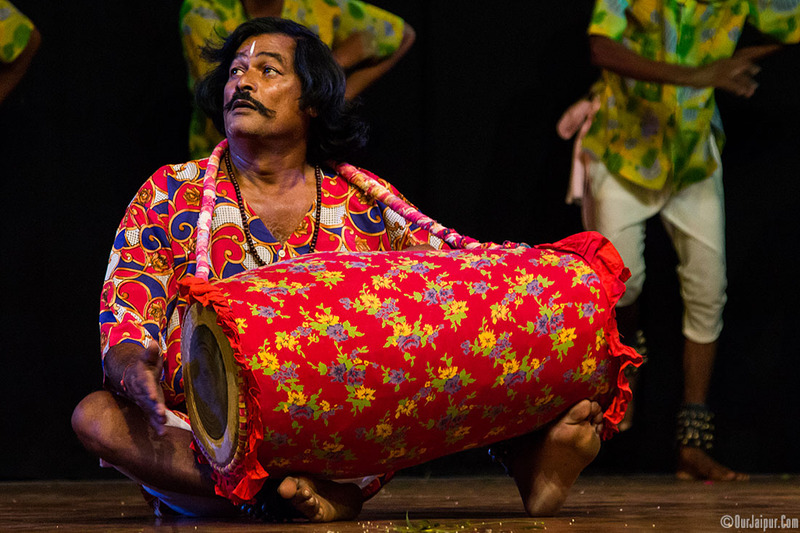 Pung Cholam or Dhol Cholam from Manipur. 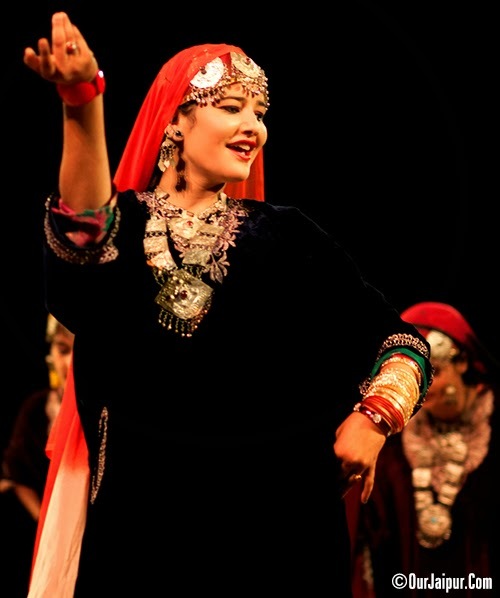 Rauf Dance from Jammu & Kashmir. 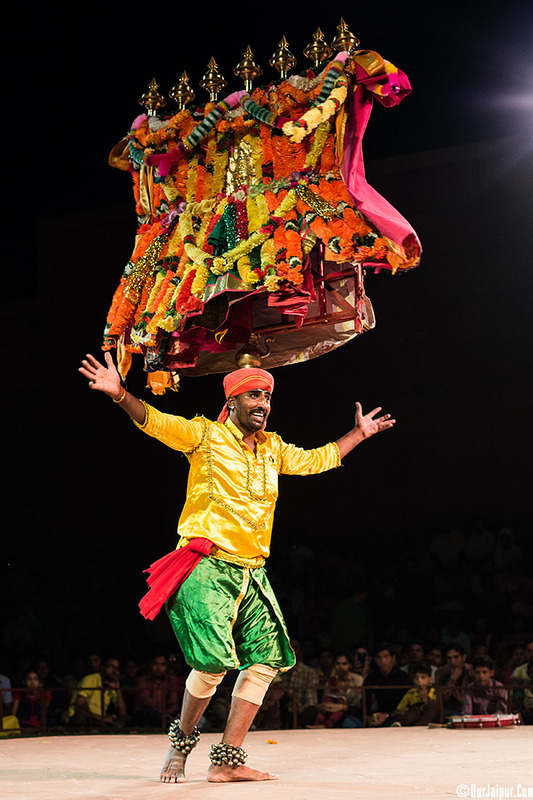 Mayur Natrya from Uttar Pradesh. 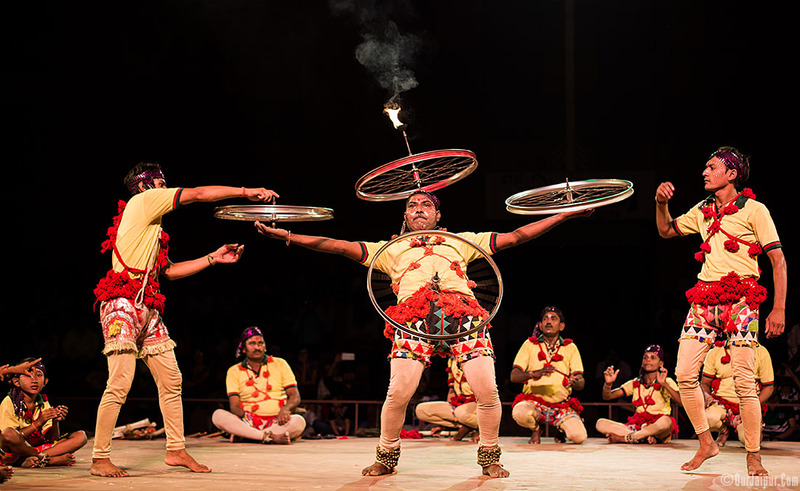 Brij ki Holi from Uttar Pradesh. 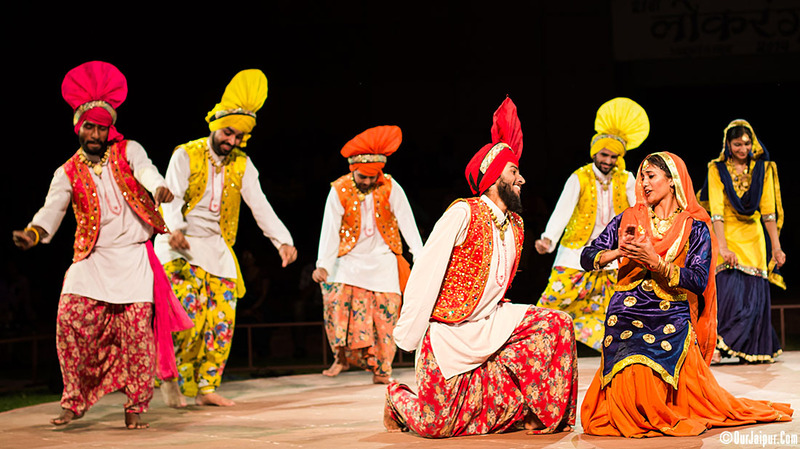 really want to watch them perform live, sometime ... its beautiful..
What an marvelous event of Tradition and Culture it is..
Wow! 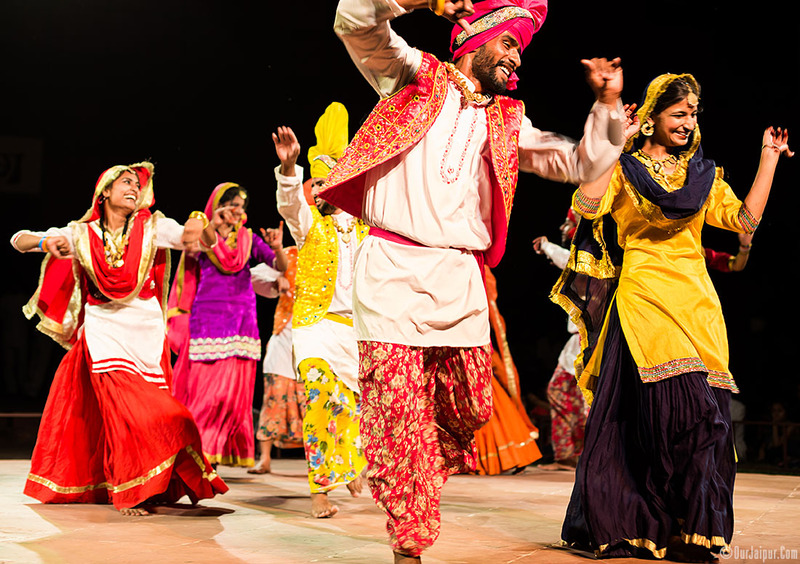 What a beautiful festival! 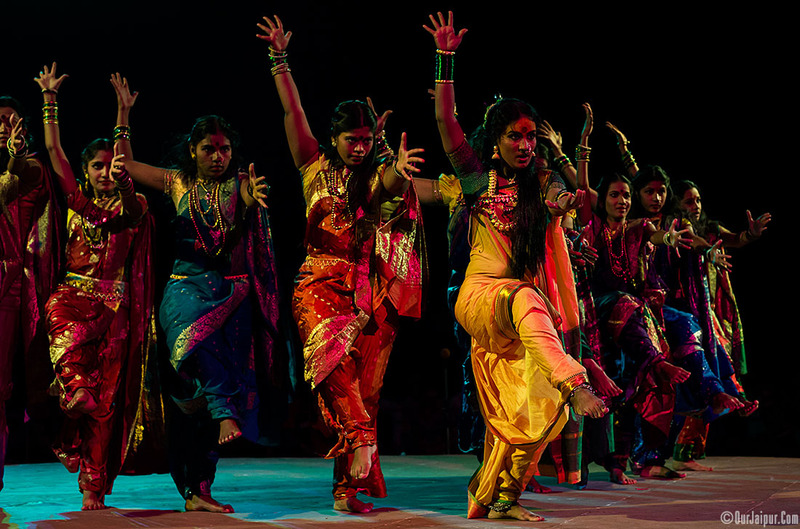 I think it depicts all kinds of Indian dances. :) Thanks for sharing! 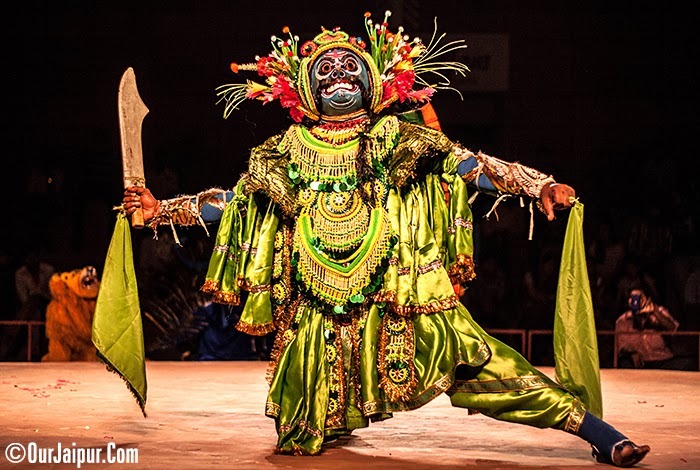 Thank you for sharing I would had enjoy watching this dance its beautiful. 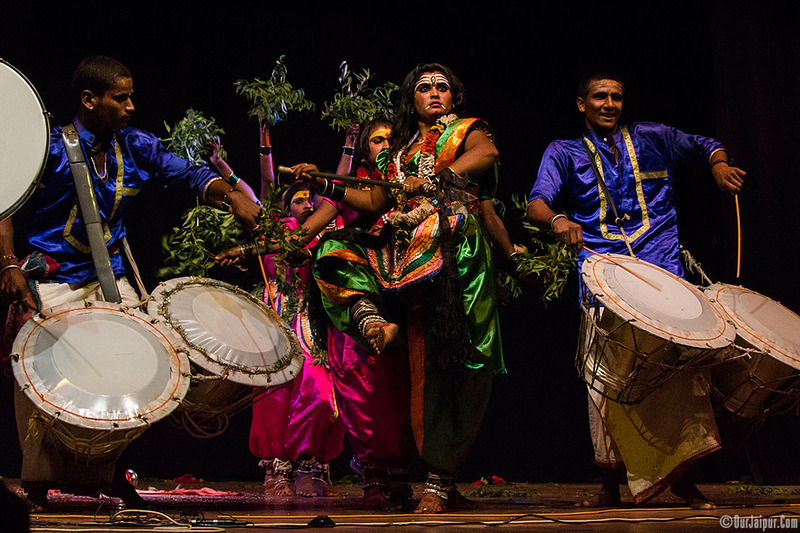 Loved reading about the festivities and the pictures, especially happy to see the Sambalpuri dance pics.